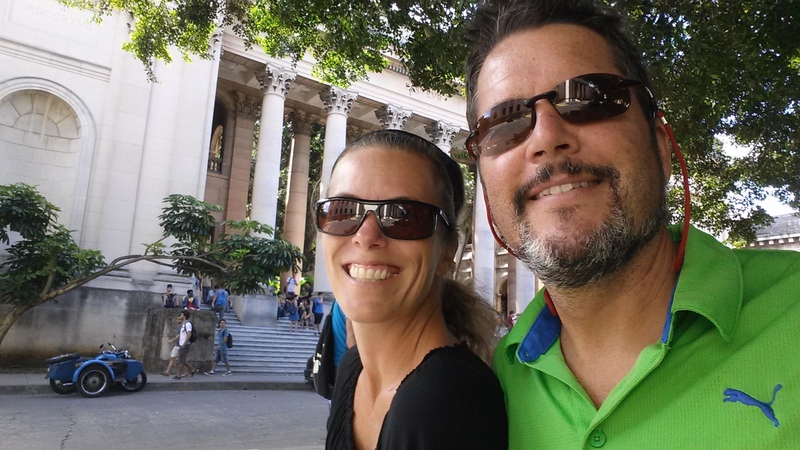 We wanted to travel to Cuba before the Americans started flooding in, so along with our pals Charlotte and James we embarked on a 10-day educational trip. 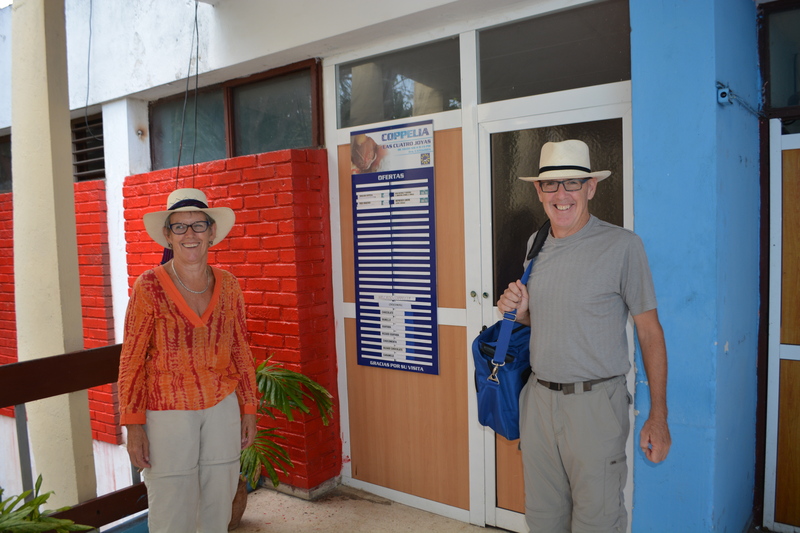 Bienvenido a Cuba Pedro, Jaime y Carlota. 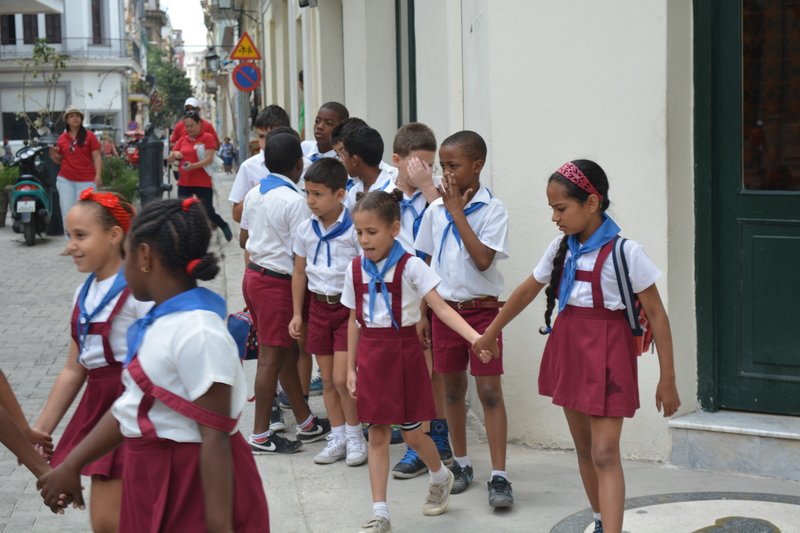 We know that America-Cuba relations can be a hot button topic, so we used this trip to educate and not debate. 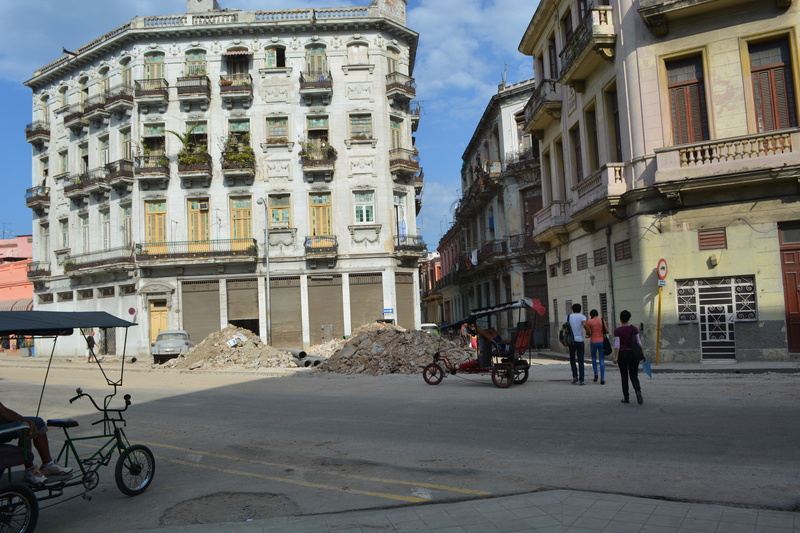 The key for us was to take a cue from the Cuban people who separate politics from people. Anyone who can rock a turban is aces with me. Excuse me, there is a chicken on your head. Initial Impressions. 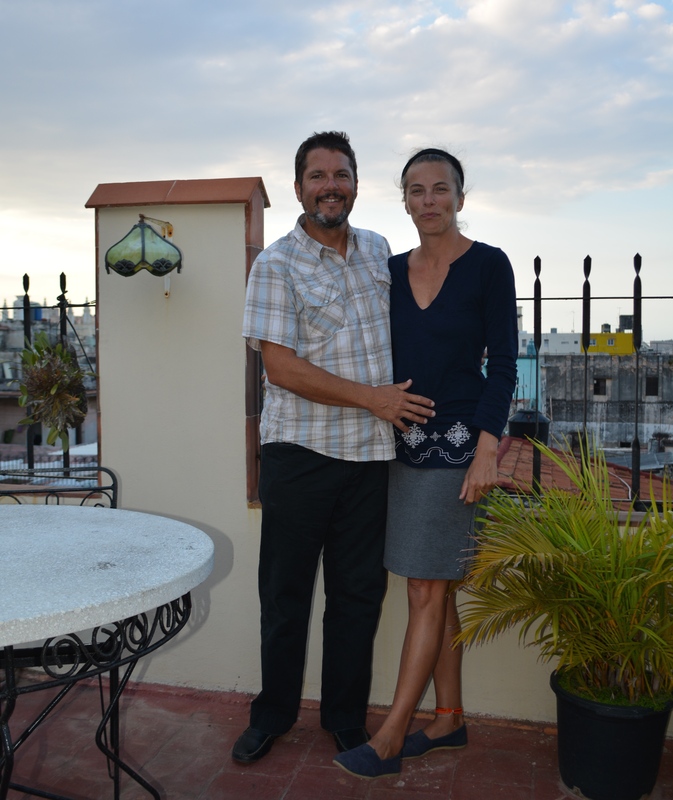 Cubans love Americans and readily put politics aside to get to know you as a person. 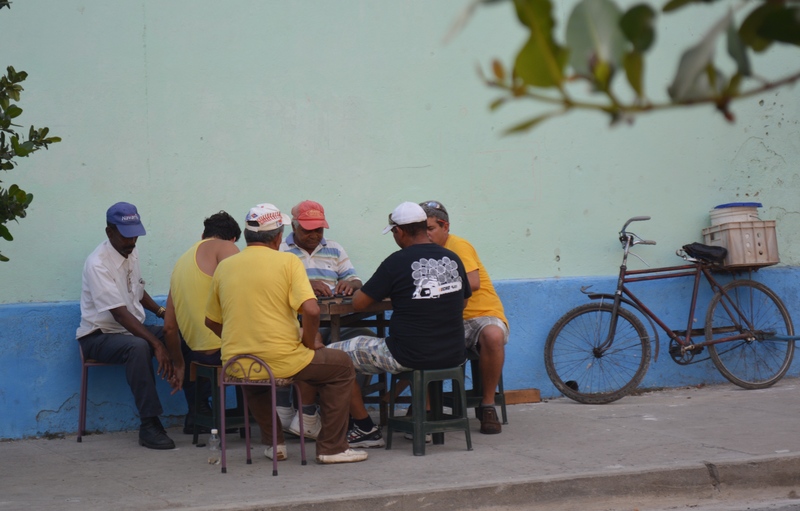 In fact, politics does not even enter into a personal interaction with Cubans. What a refreshing attitude. And if indeed some political issues were discussed they were not met with the vitriol that always seems to bubble up in the States. 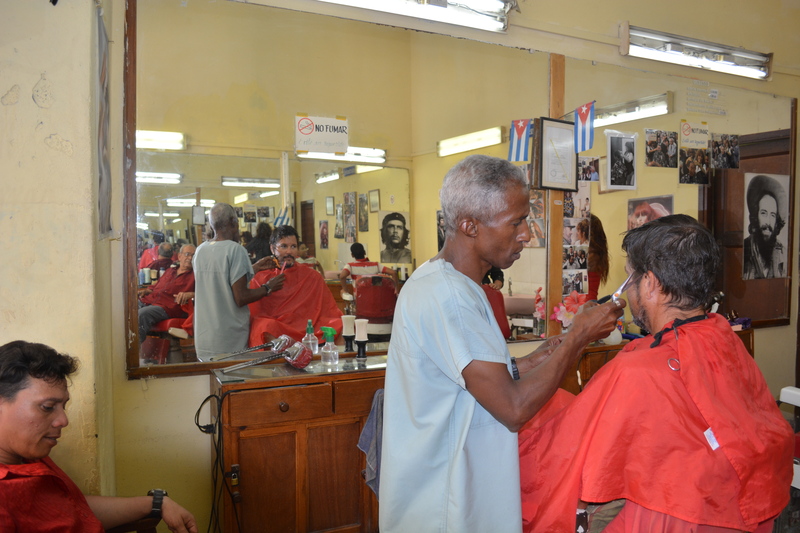 The people of Cuba are the heart and soul of the country. They are warm and welcoming, intelligent, funny and delightful. Always greeted by waves and smiles. All the children were friendly, curious and full of giggles. 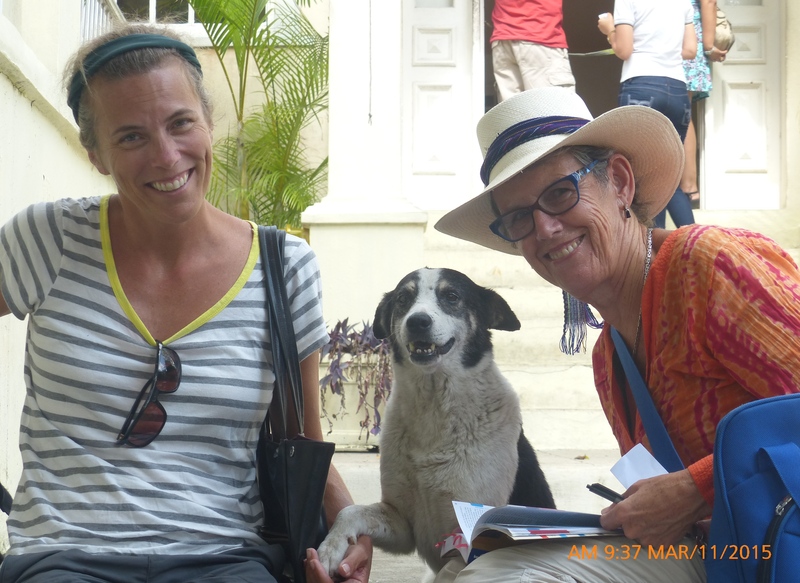 Hemingway house dog welcoming Mary and Charlotte. Honestly, we were not sure what to expect from a country that mainly has been presented to us as either the romanticized playground of the 1950s jet set or a repressed society full of people willing to risk their lives to achieve freedom. 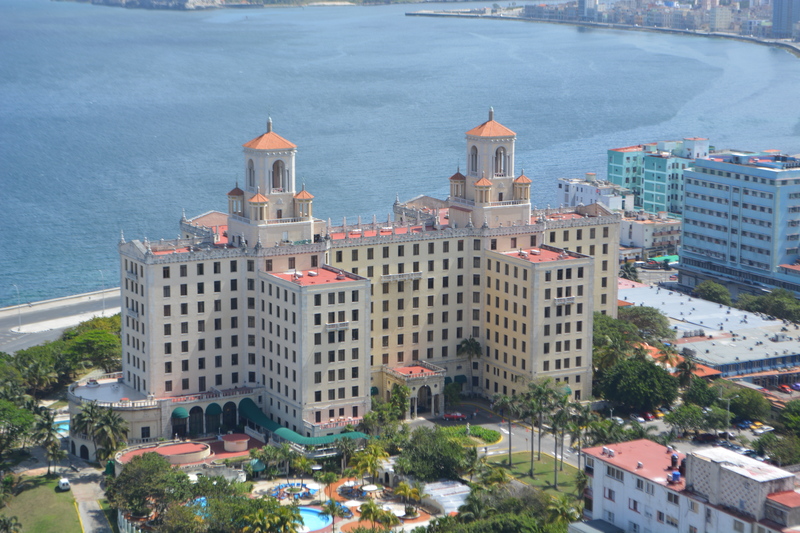 Hotel Nacional De Cuba, host to everyone from Winston Churchill to Frank Sinatra, Eartha Kitt and Lucky Luciano. Would people speak to us, were they allowed to speak to us, did they have toilet paper?You laugh, but so many people told us to bring our own, so we did. And then our Cuban friend laughed at us because they have TP. LOL. Pete and Señora enjoying a Cuban coffee. No need to worry, everyone spoke to us and were patient with our Spanish and practiced their English. 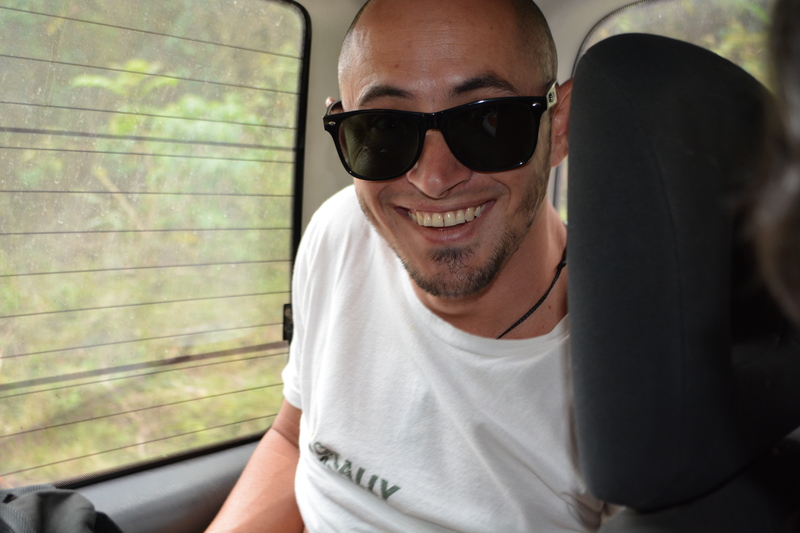 Our new amigo Olexis. Always happy to answer all our questions and laugh at us for bringing our own toilet paper. So many of our preconceived notions were way off, while many were confirmed and some things never quite explained. We just took it all in, which is easy to do because everywhere you look the colors, the architecture, the people always are interesting. Click here for even more photos. Musicians on the streets of the historic city of Trinidad. 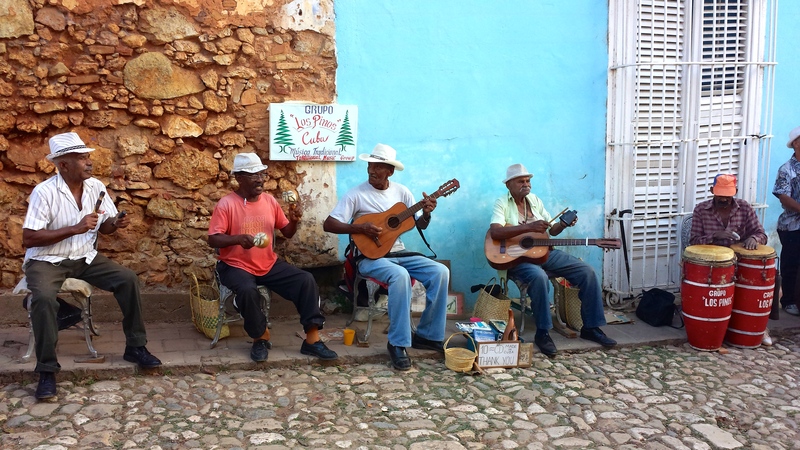 We must have heard the song “Guantanamera” a million times from every band, street musician and radio. But we did learn the song is about a girl from Guantánamo. Seems so obvious now. Who says ladies don’t smoke cigars. Recycle, refurbish or restore is the name of the game. 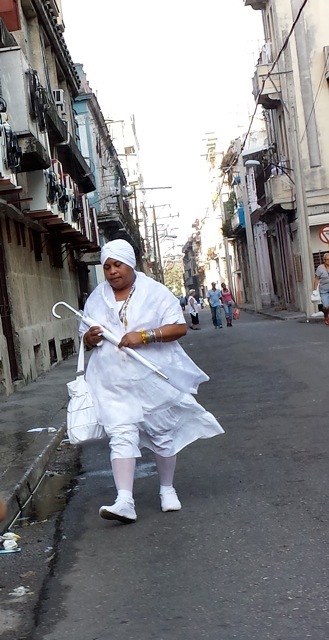 Initiates in the Santería religion are required to wear white clothing for a year, and they always carry a white umbrella. Dominoes is a way of life. 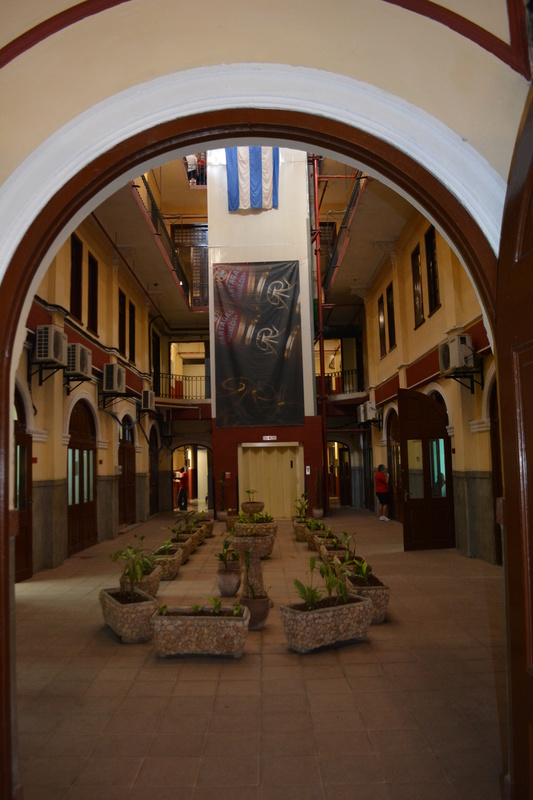 You are not allowed to take photos of the cigar workers, but this is the lobby of one of the many working cigar factories in Havana. Workers train for 9 months to learn how to roll the perfect cigar. Most workers were in their twenties and thirties as older workers develop carpal tunnel from the repetitive motions. 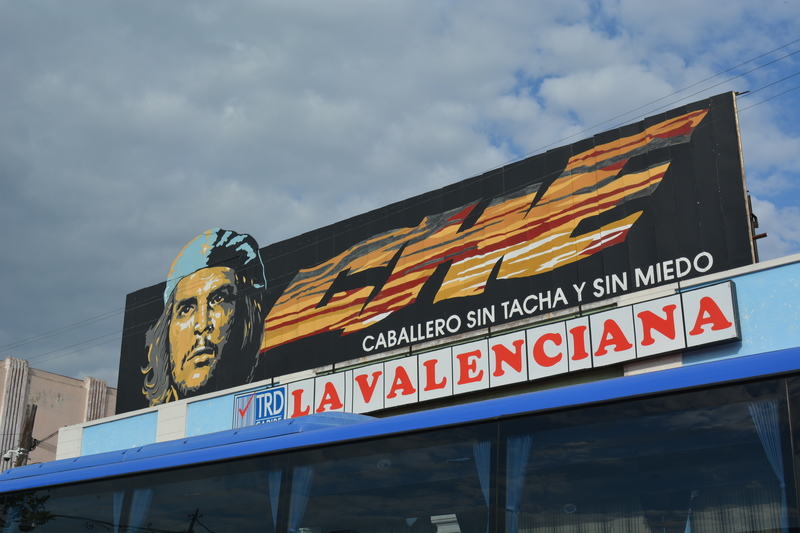 Souvenir shops with pro-Cuba items and images of Che abound. 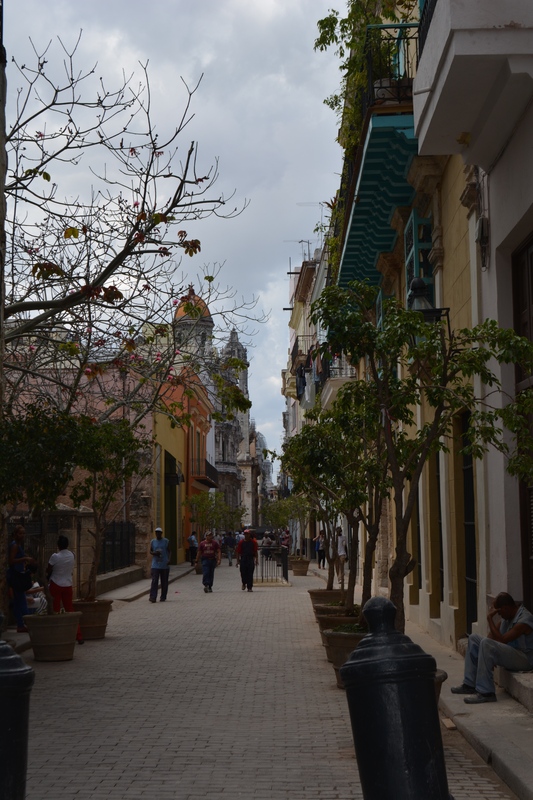 Lovely pedestrian walkway in Havana. If there is one personality the world seems to admire, that is Earnest Hemingway. 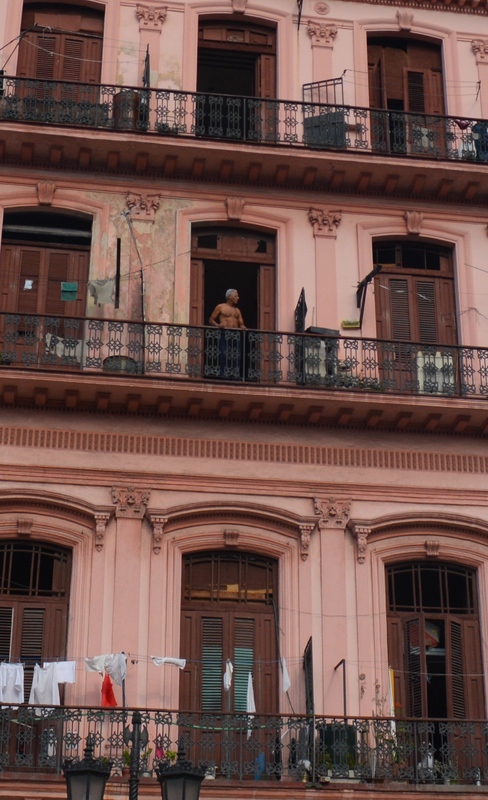 His home is as the day he left Havana. 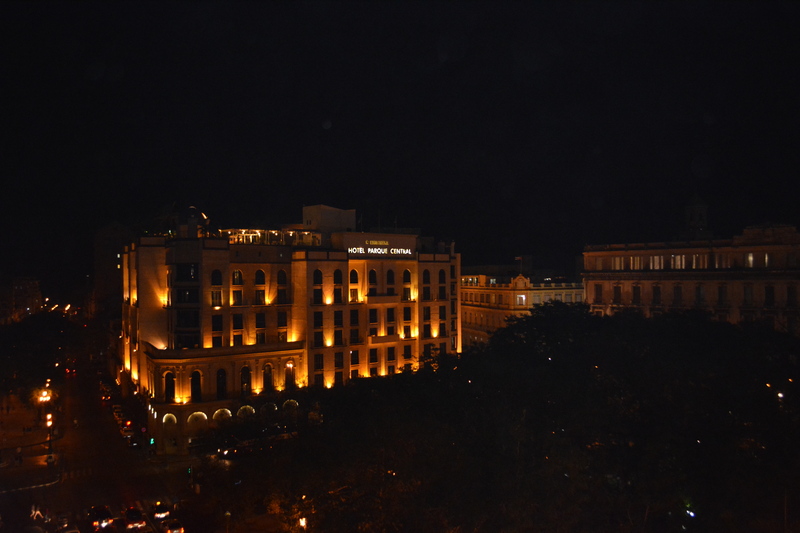 There are some 4 star hotels in Cuba’s larger cities that have the same luxuries as those you’d find anywhere else. But they are completely disconnected from everyday life on the island. Rich little tourist islands in a sea of poverty. 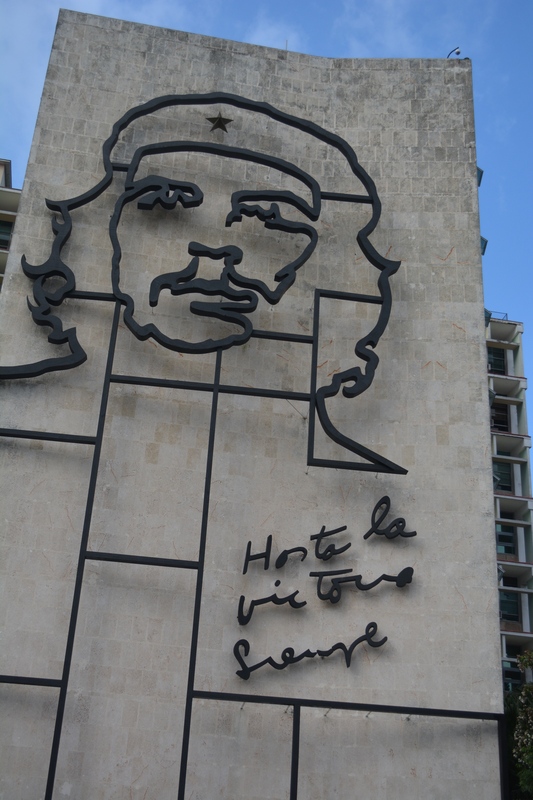 For example, we stayed in an Iberostar hotel our first two nights in Havana to acclimate a bit. They had cable TV, including CNN, BBC, HBO and the other usual channels. 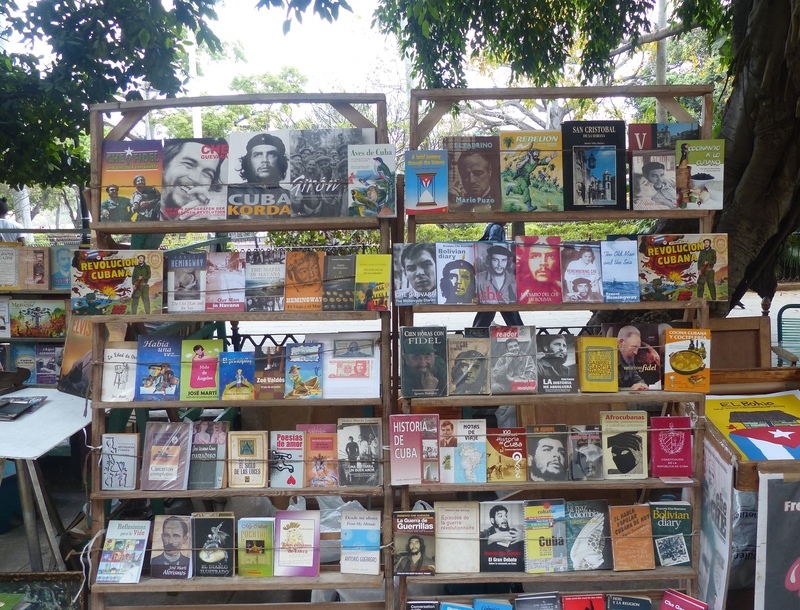 This caused us to be surprised that media consumption in Cuba was not that much different from our own. Is there anywhere in the world that doesn’t have “The Big Bang Theory” on constantly? It was only later we learned that these TV channels are limited to international hotels. 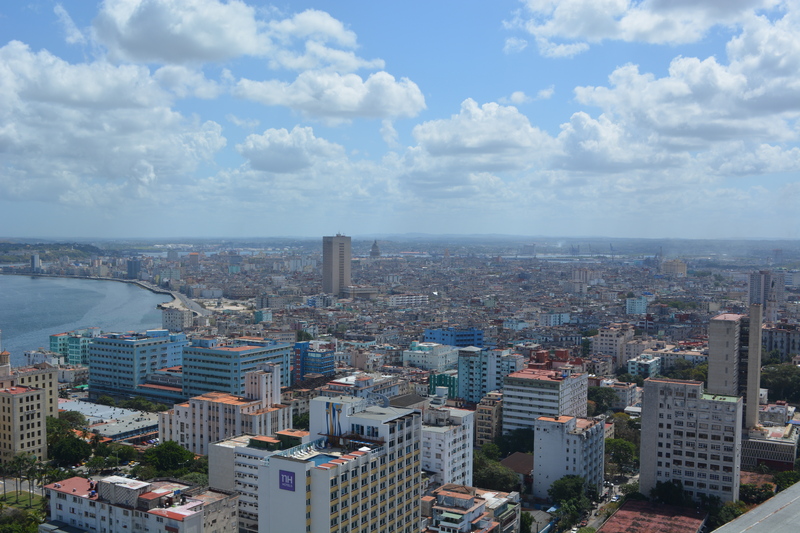 For everyday Cubans, the country offers two local TV news channels – both government owned – and one international news channel. Guess where that one is from? … Venezuela. On line for media? Food? To pay a bill? Folks waiting on lines is commonplace. Internet access is virtually non-existent. It exists in a few college areas and certain other designated spots, and is censored, expensive and slow. But the people are resourceful. They know all the international pop culture references. We found out that this is due to one of the many ingenious black market practices that exist here. There is a service they call “The Package” or “The Terrabyte”. On a weekly basis copies of current popular TV shows, movies, magazines, etc. that have been accessed via satellite are made available to locals in kiosks around the country. Memory sticks and drives are filled a la carte with whatever media the customer desires. So people in both the cities and countryside knew about “Breaking Bad”, “Game of Thrones” and those ubiquitous Kardashians. 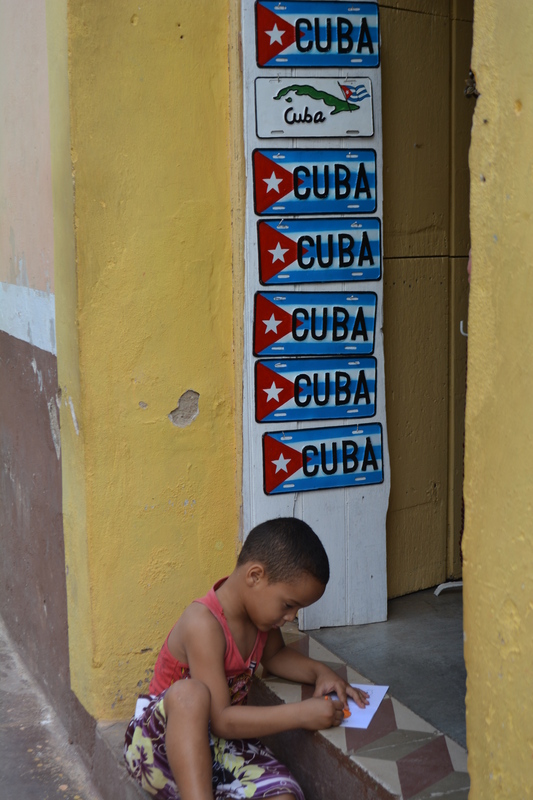 Cuba is a country of contradictions. 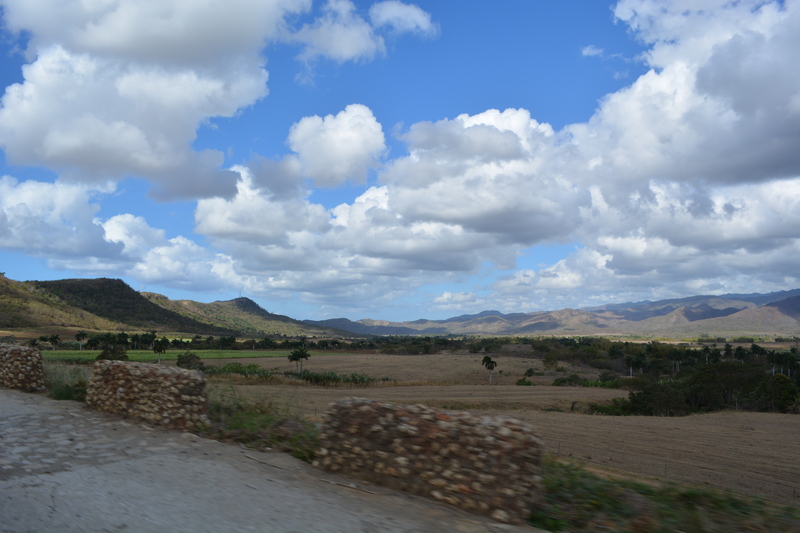 The countryside is beautiful and largely undeveloped. But this is mainly due to the lack of investment funds available and red tape for development anywhere. Refreshingly there is almost no litter along the roads, but we learned this is because everything that can be recycled is recycled. Due to its expense there is very little disposable plastic waste. Many items are still sold in glass and metal containers. 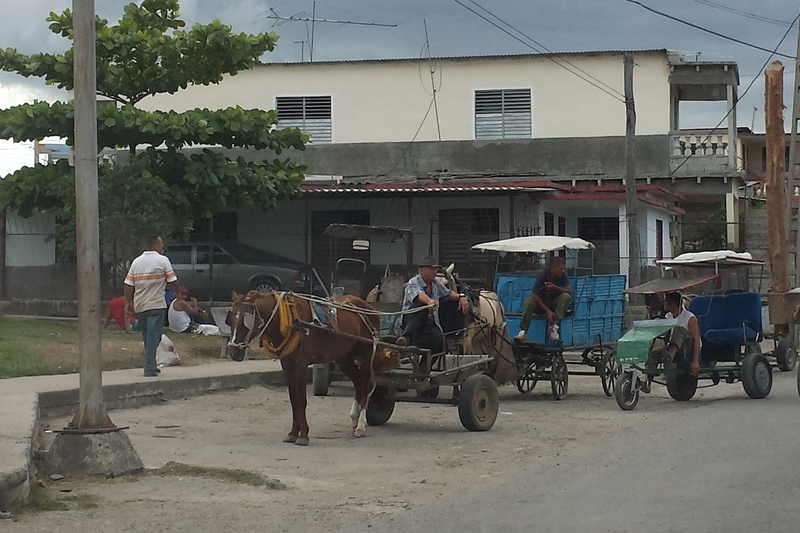 Cubans are pros at making the best of what they have. Just look at all those old American cars. Yeah, they are here – lots of them. They’ve kept these cars running and passed them down from generation to generation for 50 or 60 years. We assumed they were kind of a tourist gimmick, preserved for some propaganda reason. But there are TONS of them all over the island in varying states of repair, from glistening perfection to hideous, smoking beasts with more bondo than sheet metal. 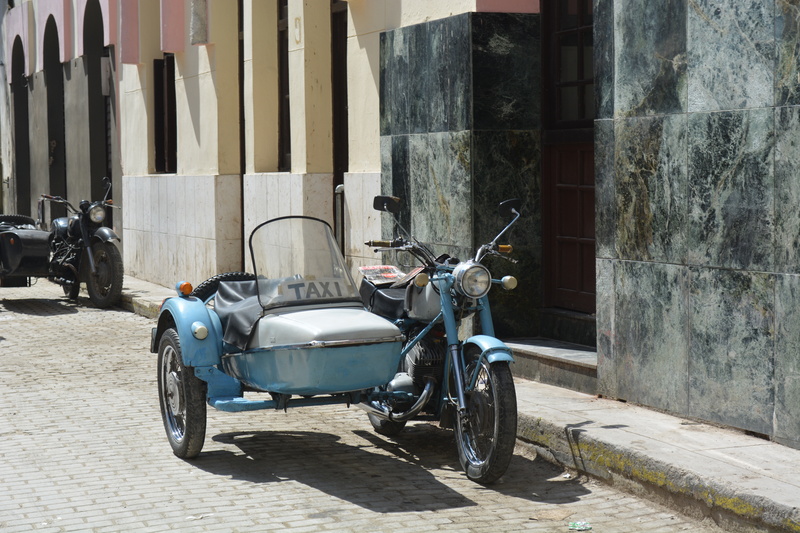 Along with all the classic 1950s American cars are lots of old motorcycles, most with sidecars. Cars on Paseo de Marti. Old Chevy now a taxi. The driver installed his own homebrew air conditioning. 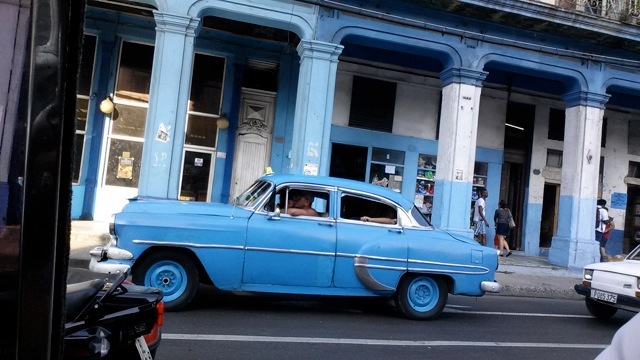 Interestingly, the cars trace the historical ups and downs of Cuba. 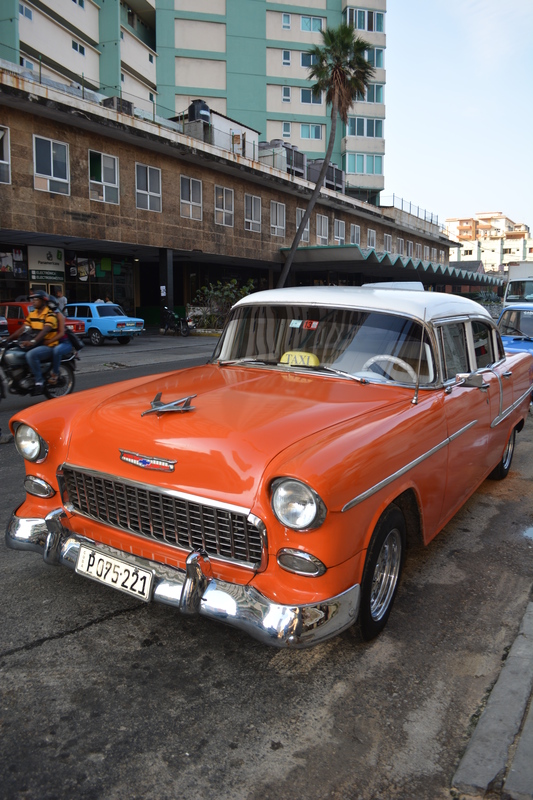 All those old American cars from the 50’s (none from the 60’s as the revolution happened in ’59 and that is the last model year present) represent the heyday of American involvement with Cuba and their abrupt end in 1959 tracks the end of the US presence here. 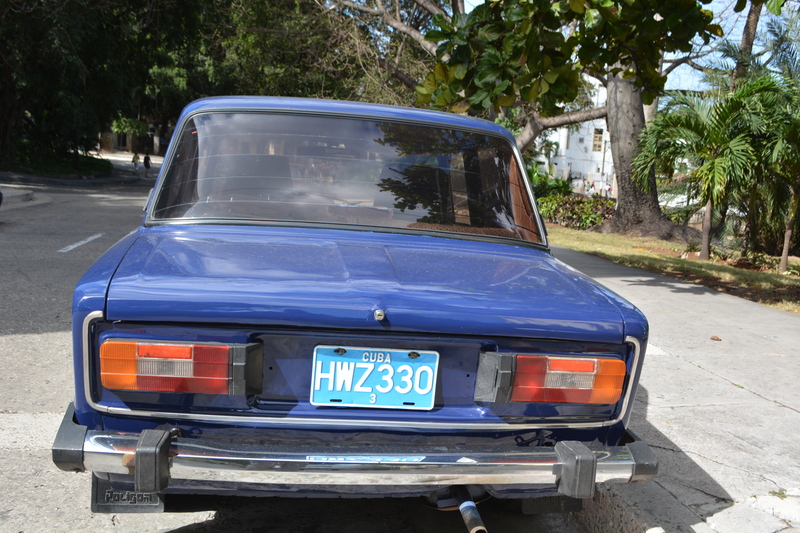 Then there are Russian cars, mostly Ladas; these are from the ‘70’ and ‘80s but they also abruptly disappear in the mid-1980’s when the fall of the Soviet Union caused Russia to drop Cuba like a hot potato. 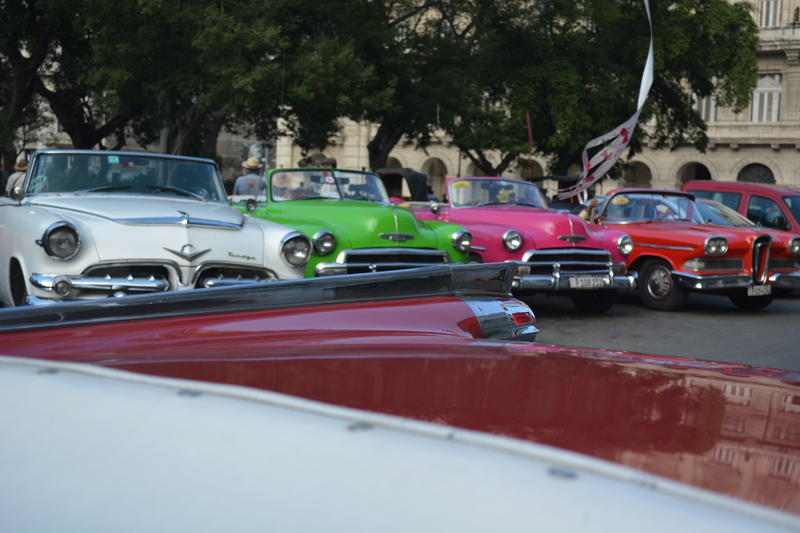 They did not hold up as well as the old American cars, probably because the Cubans do not value them like those old US warhorses. The Russian cars are taxis or just old beaters now. 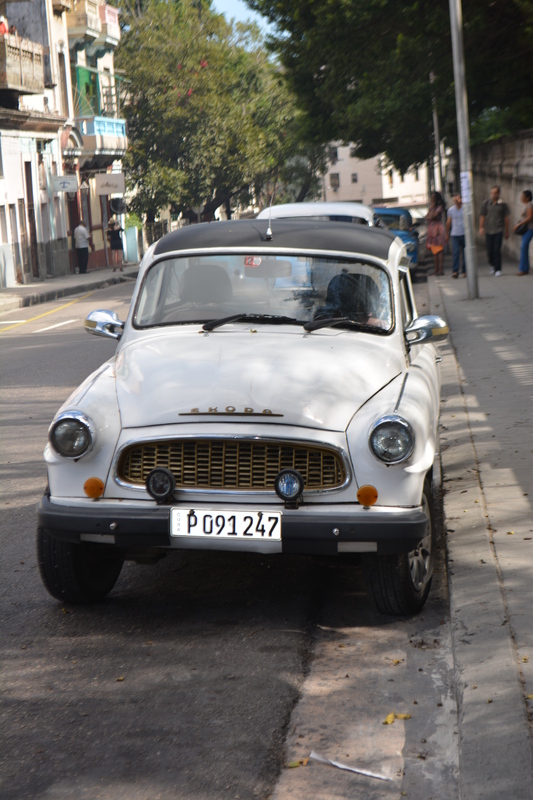 Ladas look like they are from the 60’s but are really from the 80’s. Cool looking Skoda – from Czechoslovakia, when there was a Czechoslovakia. 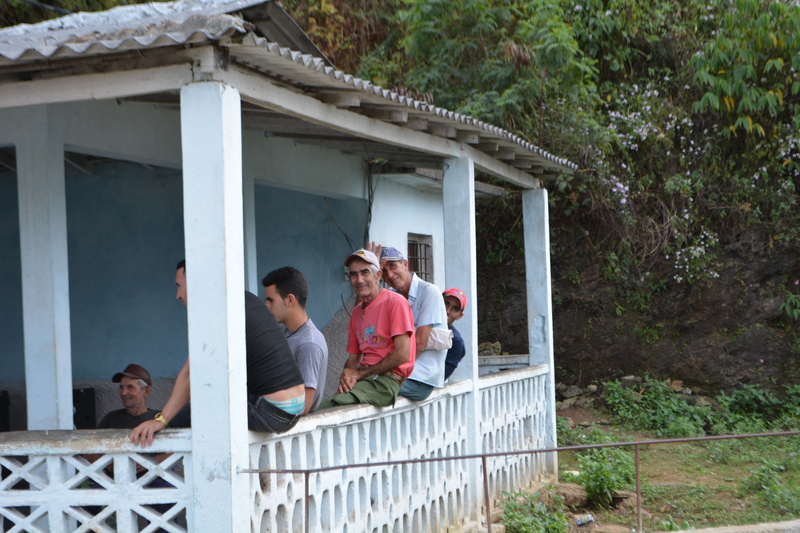 The exit of the Russians ushered in a decade of extreme hardship for the Cuban people. We were told horrible stories about people eating potatoes for breakfast, lunch and dinner; going without shoes for an entire year, and other tales of desperation. 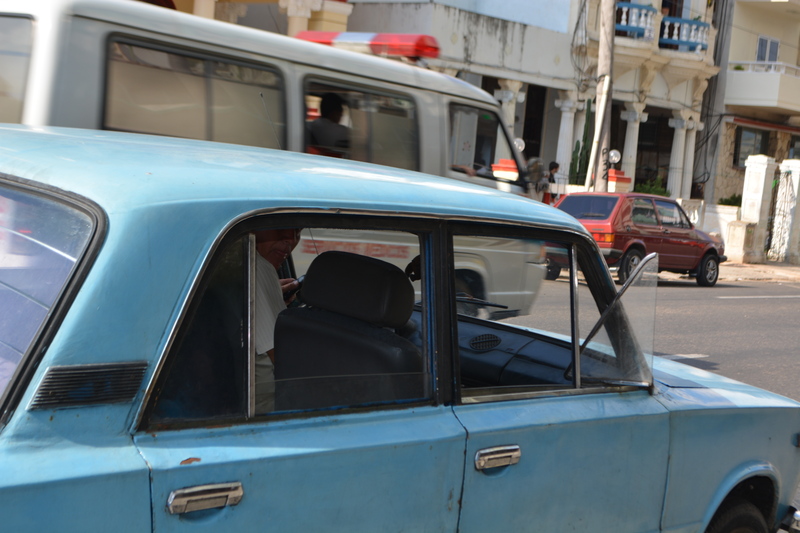 And that, too, is evidenced in the Cuban cars – there are generally none from the ’90s to be found anywhere in the country. 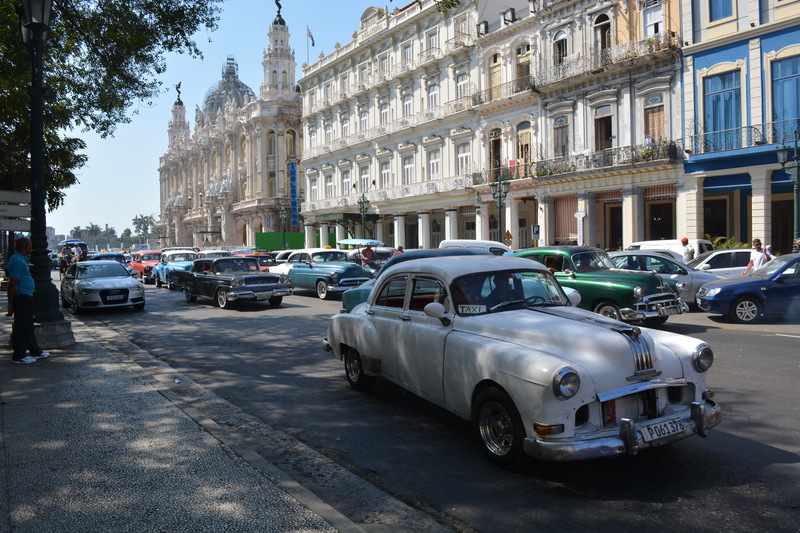 Now, there is a steady trickle of unfamiliar Chinese and Korean cars showing up in Cuba, as those countries seek a toehold in this potentially lucrative market. The people are poor. 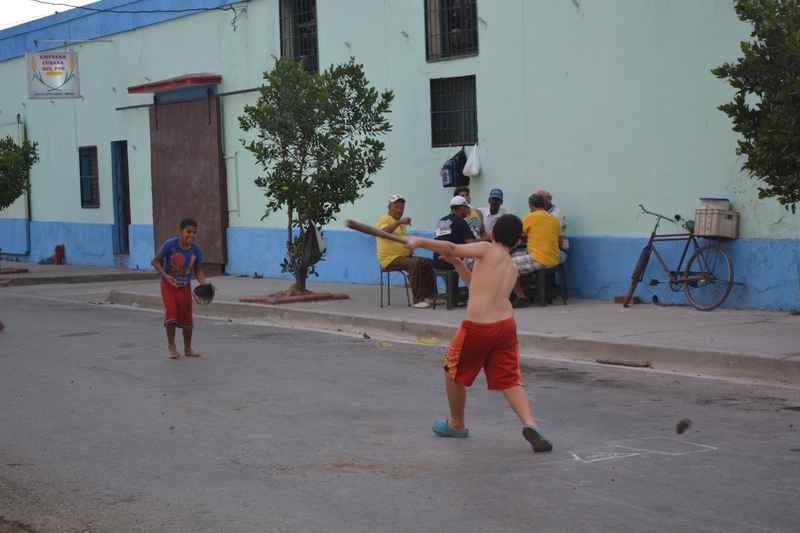 I mean, we saw these kids in the city of Cienfuegos playing baseball in the street with a stick as a bat and a rock wrapped in a sock as the ball. This is right out of a Hollywood script. How we wish we had a bag of baseballs to hand them. 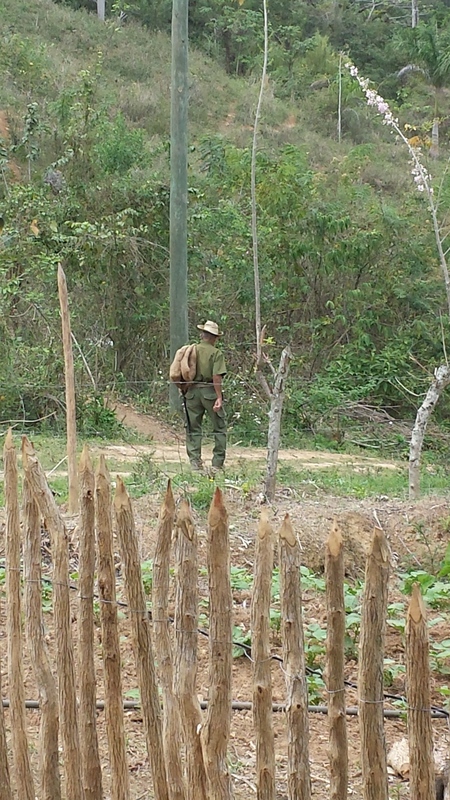 Cienfuegos baseball game – he missed; that thing behind him is the ball – a rock wrapped in a sock. They had to call timeout whenever the “ball” unraveled. But they were having a grand time. 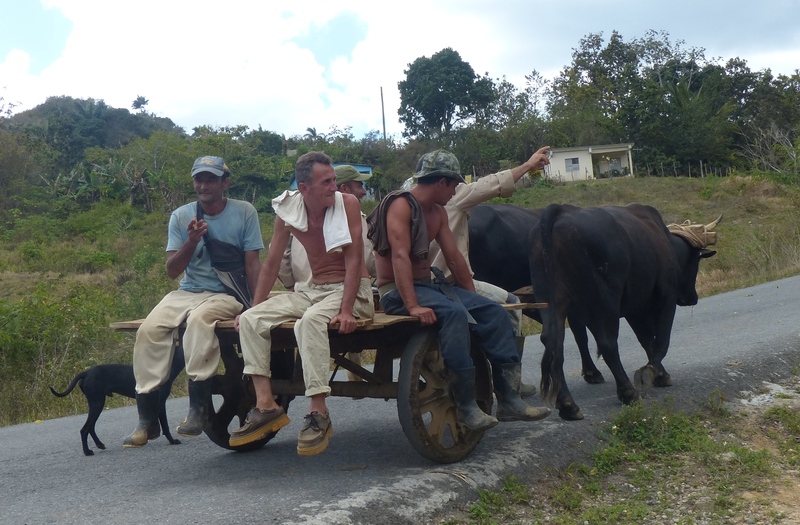 In most of the rural villages there were more people getting around by horse and cart or just horse and saddle than by cars or trucks. Yet you sensed no resentment, envy or covetousness. 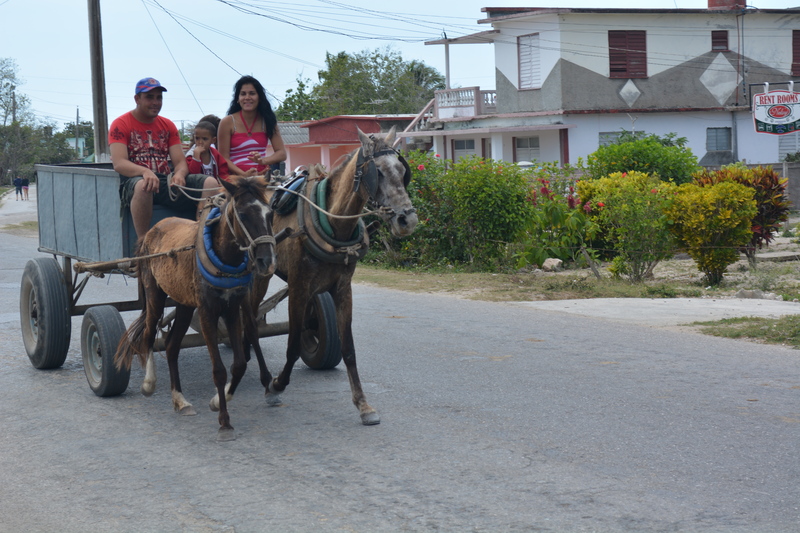 Family on horse and cart. 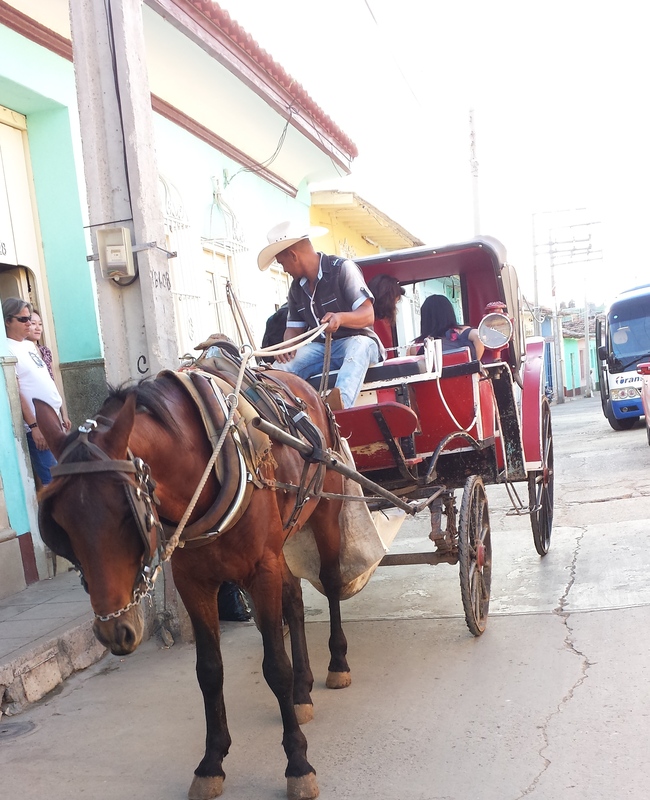 Man on horse and cart. No horse, so he walks. Despite the hardships caused by US government policies, the people unanimously welcome Americans and are eagerly looking forward to renewed relations. Even though Cuba was a Soviet client state for decades, most people will scoff at Russians and readily align themselves with the US. When Barack Obama first announced thawing relations with Cuba, we, and I think a lot of Americans, thought – “Oh, well that’s a surprise. OK, the sanctions regime didn’t seem to work so lets give this a shot” and then went about our day. 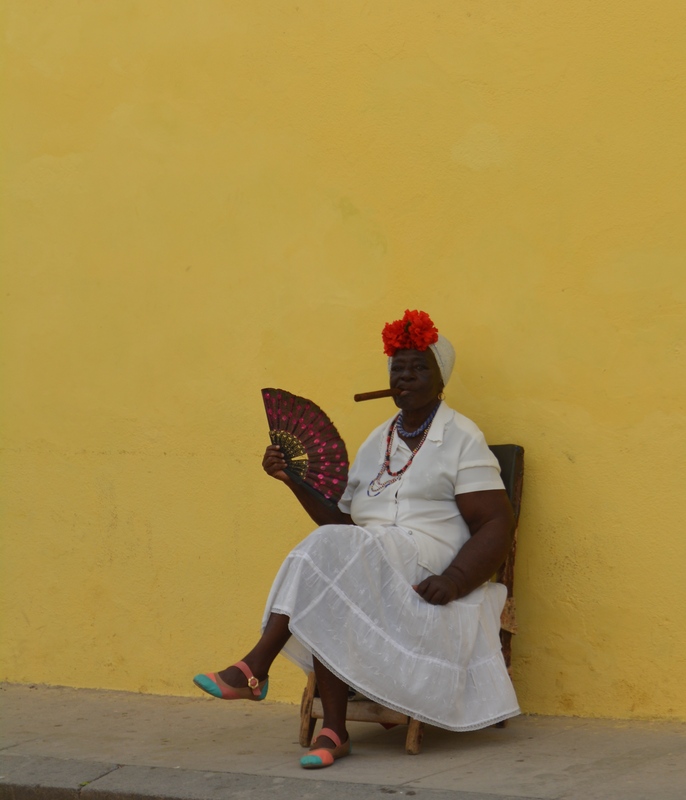 In Cuba, despite the government’s cool negotiations with the Americans, it is a day of national celebration for ordinary people, sort of an unsanctioned holiday. It’s so prominent that it has its own nickname – D17, for December 17 – the day of Obama’s announcement. One has to admit that the communist regime in some respects has performed well for its citizens. Free education for all has resulted in an astoundingly high literacy rate. Subsidized healthcare means people are healthy and treated well. And racism seems to be non-existent. Although skin shades are as diverse as in the US, it never seems to make the slightest difference. Everyone is given a free education pre-school to university. 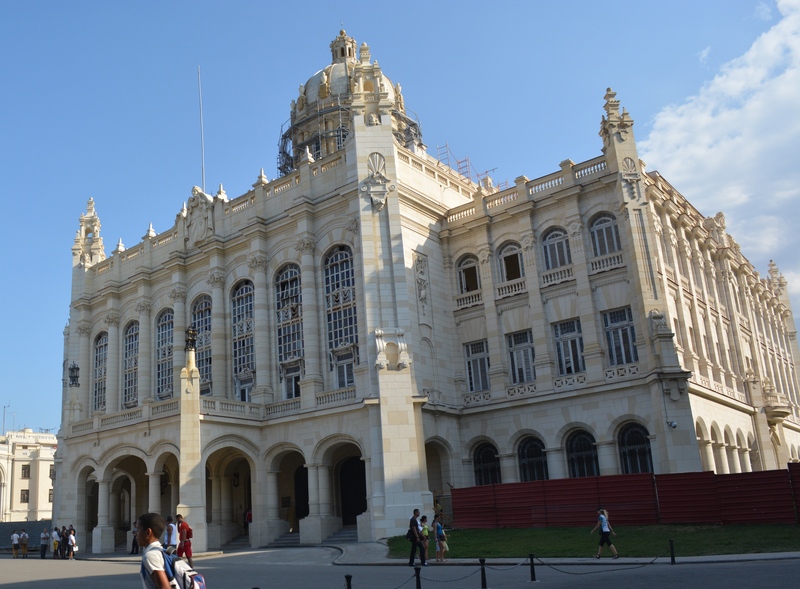 Campus of the University of Havana – stunningly beautiful grounds and buildings. As mentioned above, somehow the population seems in general to be a happy lot despite the fact that they are well aware of their poverty. 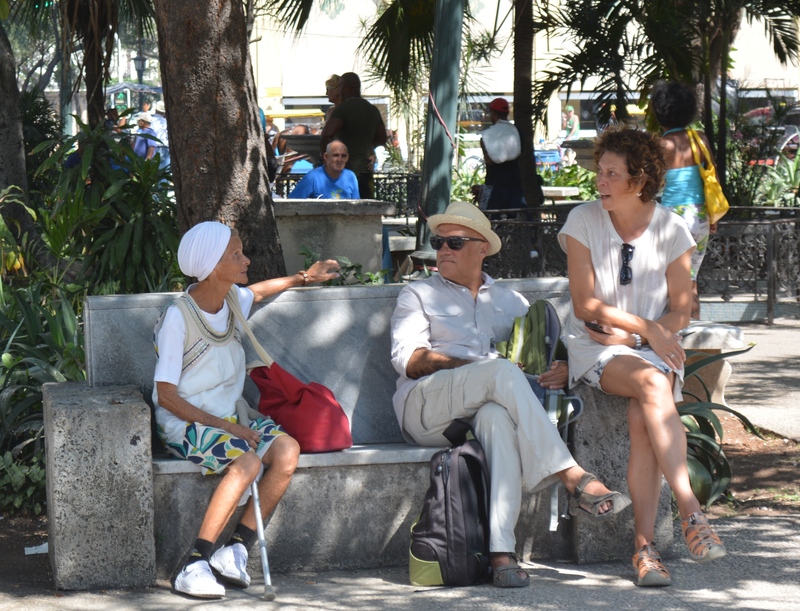 Havana’s Malecón is a free hang out place for all. 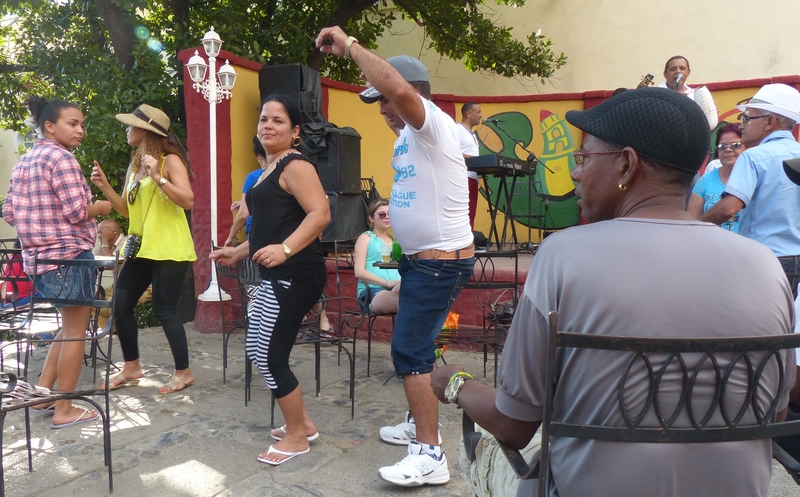 Cubans love to dance and always welcome everyone to bust a move. 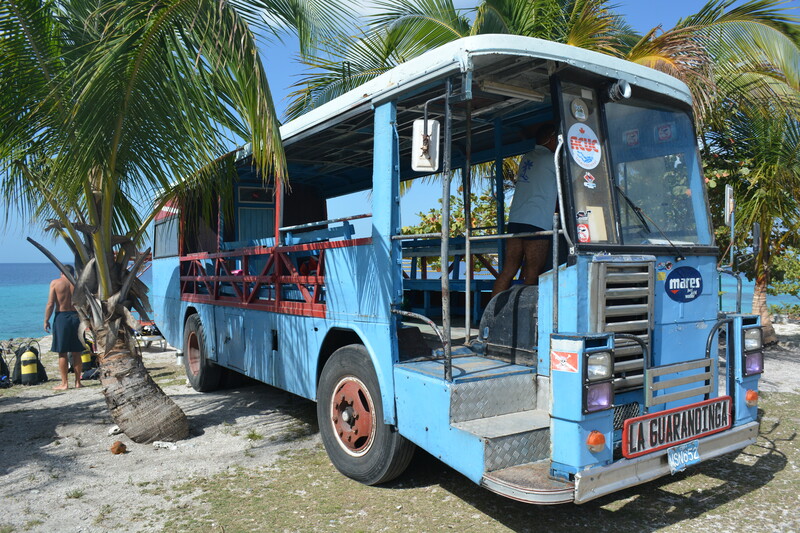 It’s very unlike some other Caribbean countries where tourists seem envied and can be treated badly. 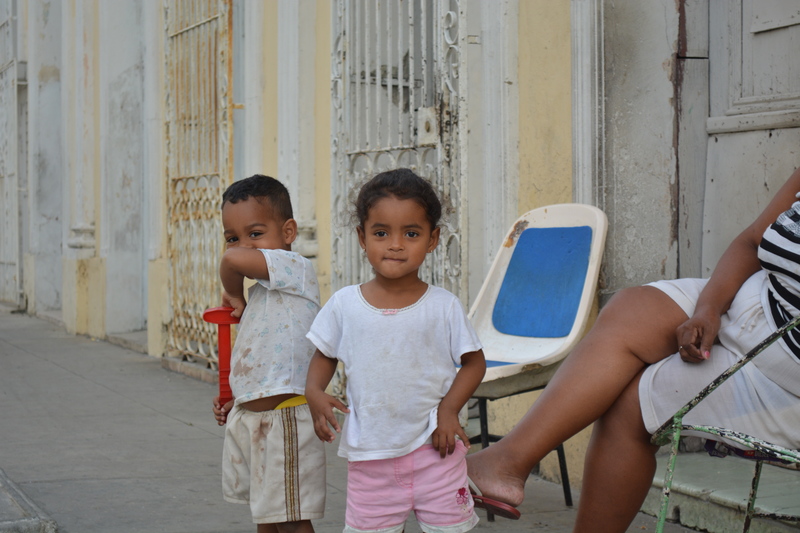 Cubans greet each other with hellos and jokes all day long, whether they know each other or not. However, in other regards, communism has clearly failed its people. 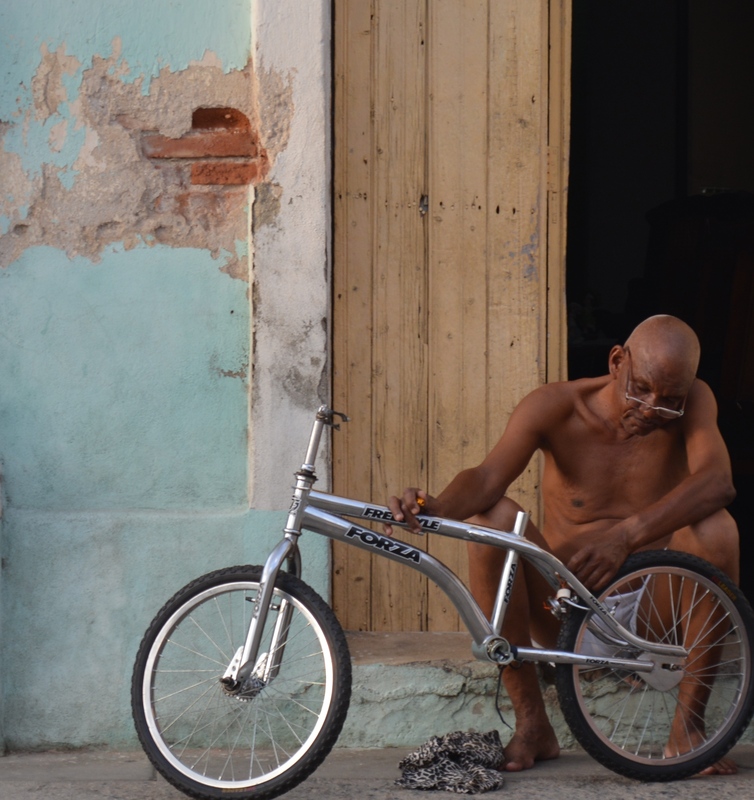 Cuba has lagged far behind the rest of the developed world in the past 50 years. 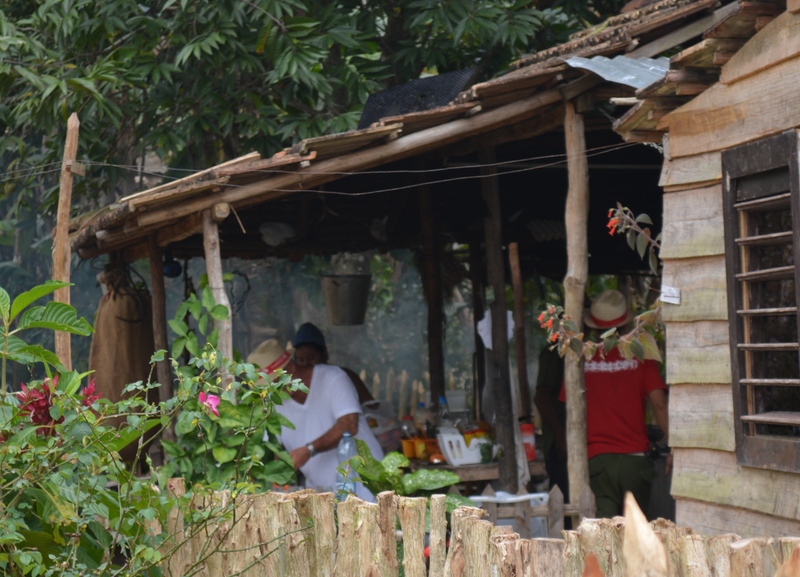 This is plain from the obvious longing of the everyday Cubans for some of the comforts of life in the more developed world. 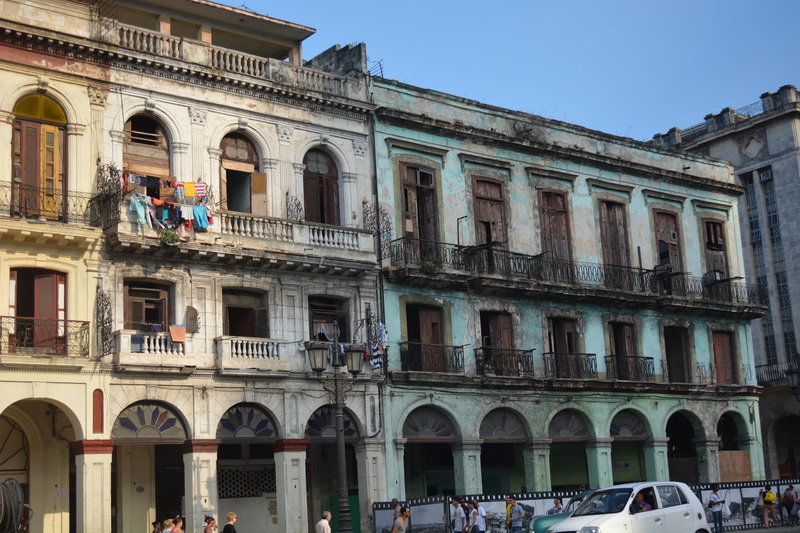 Cuba was clearly a thriving country in the first half of the 20th century, evidenced by gorgeous architecture all over Havana and other cities. 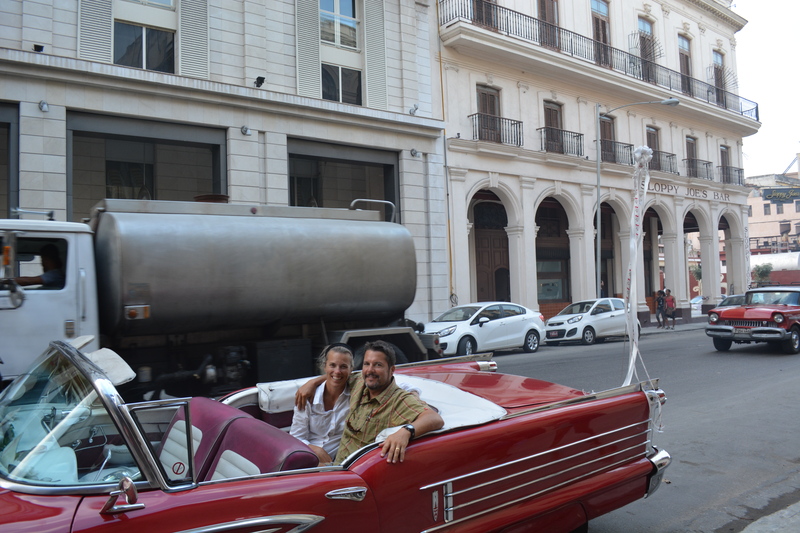 Cruising the streets of Havana. 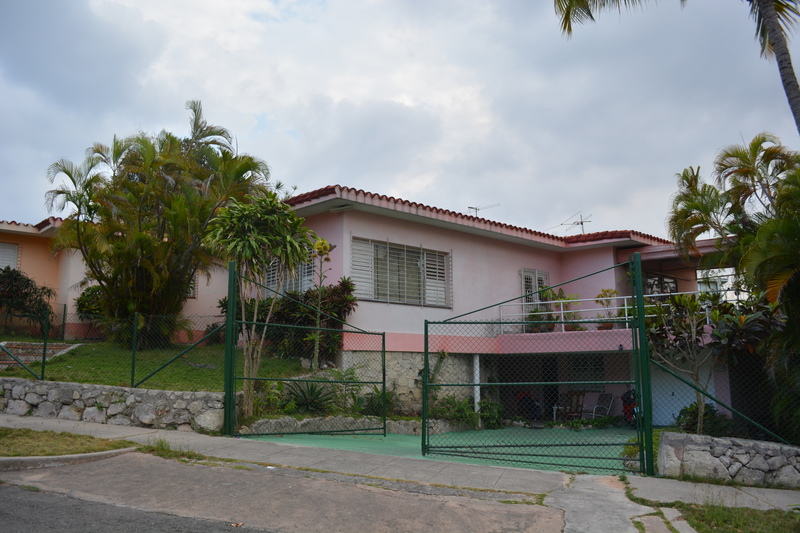 Some homes look like they could be in Miami. Others look like New Orleans. 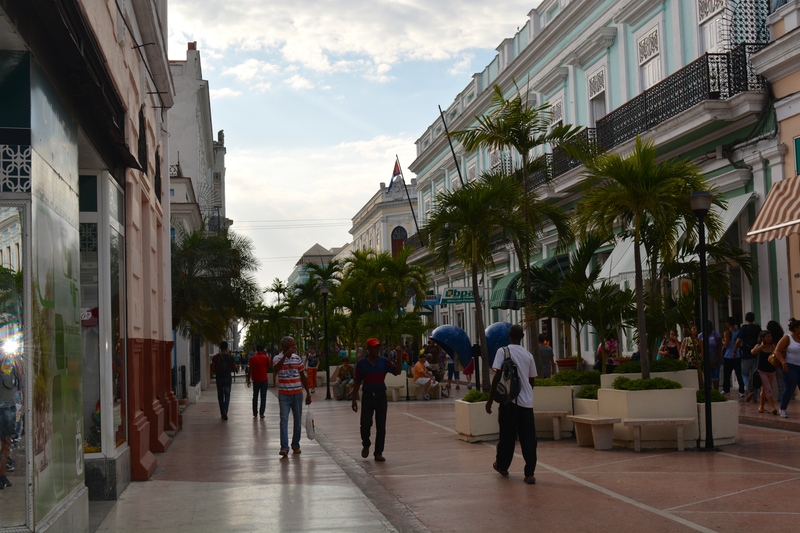 Cienfuegos shopping promenade, said to be the Paris of Cuba. 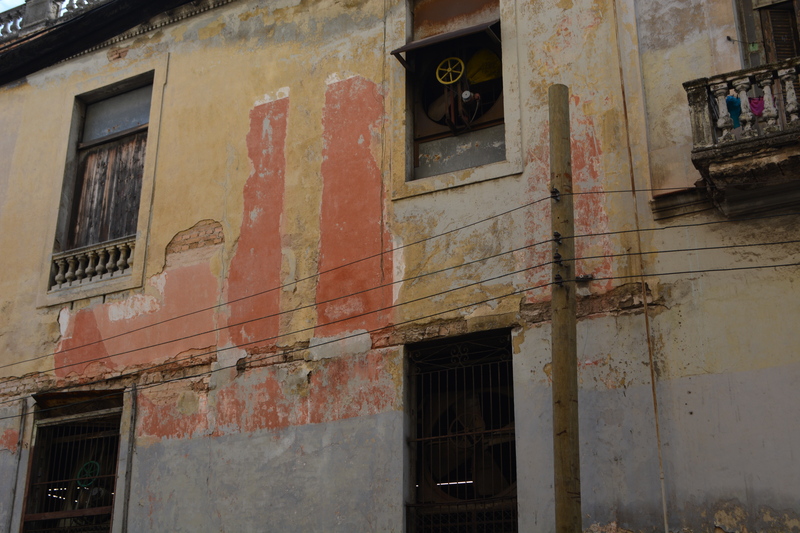 Yet many of these buildings are now crumbling ruins due to neglect from a lack of money to preserve them. 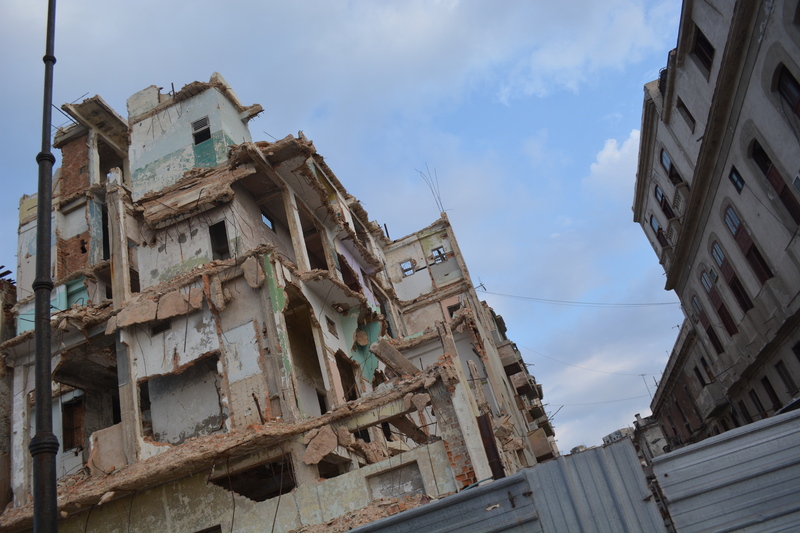 And architecture from the period after the revolution (what little there is) is stark, forbidding and cheerless – it reminds one of Soviet buildings from the Cold War era. There seems to be very little economic progress that occurred after 1959. Food items are still rationed. Commerce is tightly controlled and anemic. The nonchalant acceptance of the lack of basic freedoms, like free speech, freedom of religion, travel and association surprises the Westerner. Yet there are signs that slow progress is being made. Propaganda. One of the interesting things about communist countries is the prevalence of propaganda. It seems so foreign to those of us steeped in commercial advertising (although it is becoming more prevalent at home these days). 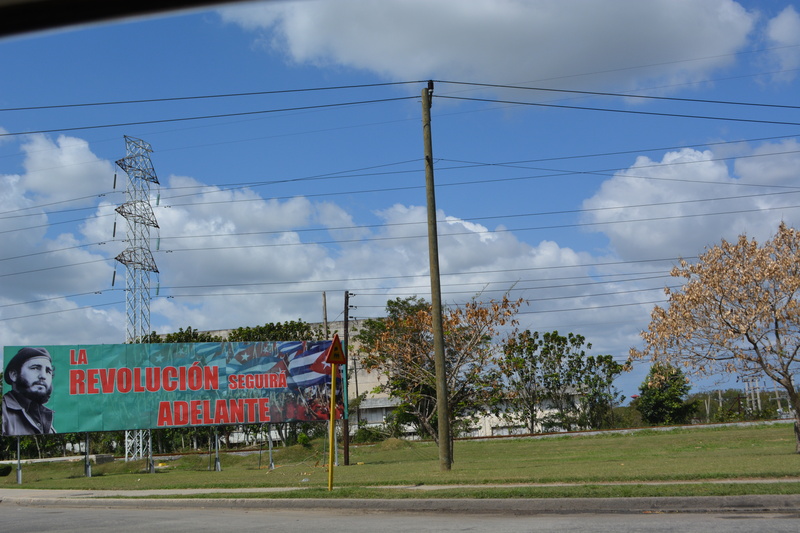 There are few if any billboards on the roads of Cuba, but this is only because they are not allowed. 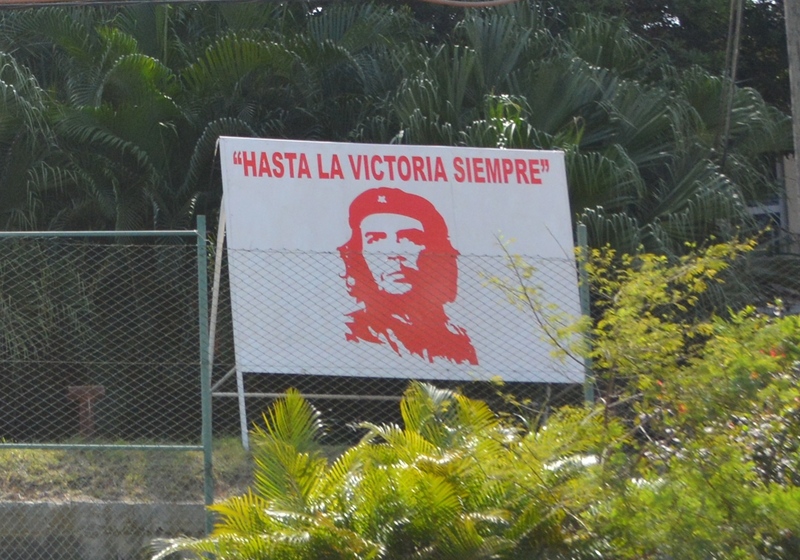 The billboards you do see are typically government propaganda praising the heroism of Che Guevara, Fidel Castro, Camilo Cienfuegos and Raoul Castro (in that order – Che is much more popular than Fidel, I guess it is true what they say, “Live fast, die young and leave a good-looking corpse!”). Roughly translated, “Knight without reproach and without fear”. The Museum of the Revolution is a striking example of this. 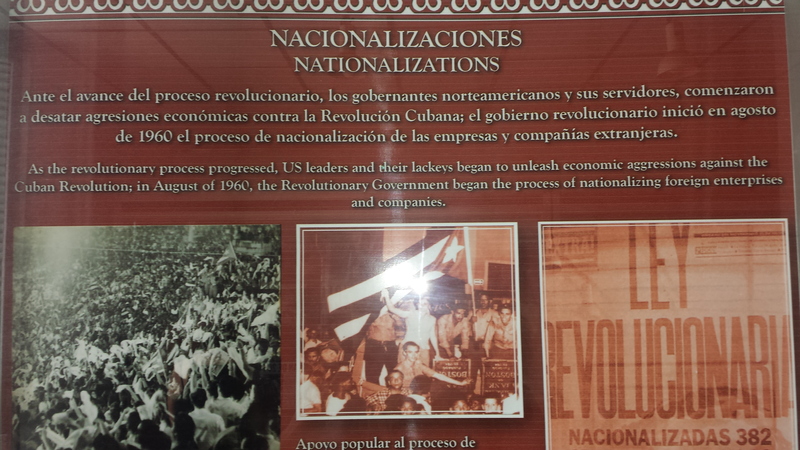 Its a fascinating collection of artifacts and information about the revolution. 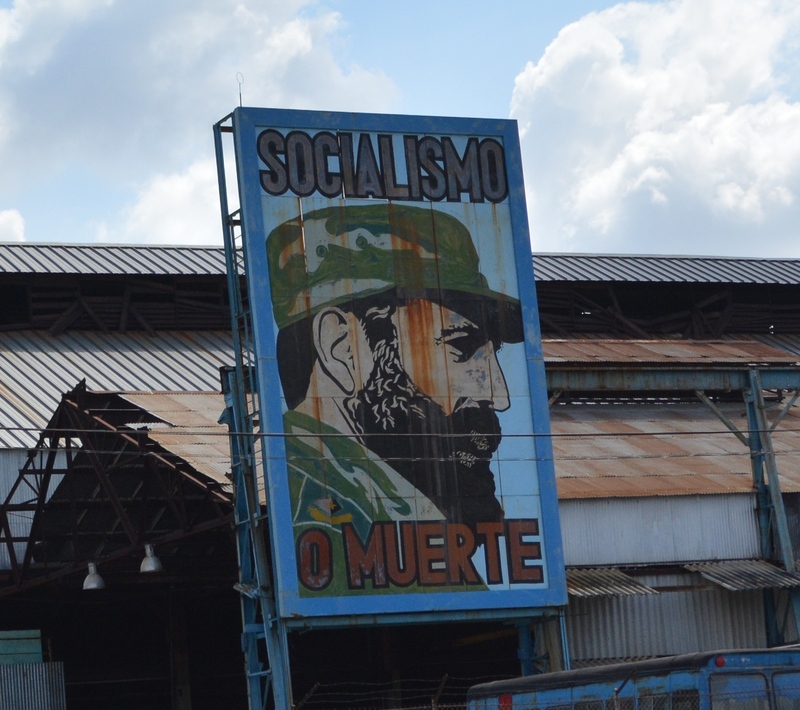 We weren’t aware just how long and hard Fidel and his cohorts toiled to bring about change. Revolution Museum appropriately housed in the former presidential palace. However, the museum is not sparing in its condemnation of “imperialists aggressors” who conspired to stunt the heroic revolution. Rincón de los cretinos “cretin corner”. Propaganda is not limited to the players of the revolution though. 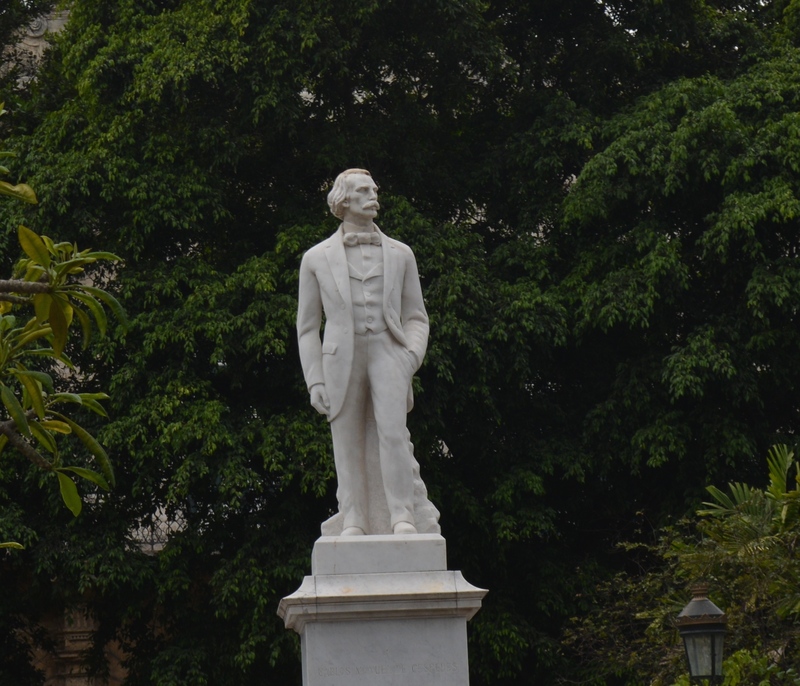 Jose Marti, who was a writer and symbol for Cuba’s independence from Spain in the 19th century, is always referred to by the honorific “Our National Hero Jose Marti”, never just Jose Marti. It sounds so odd but flows so easily from Cubans that you guess it had to be drilled into everyone during schooling. 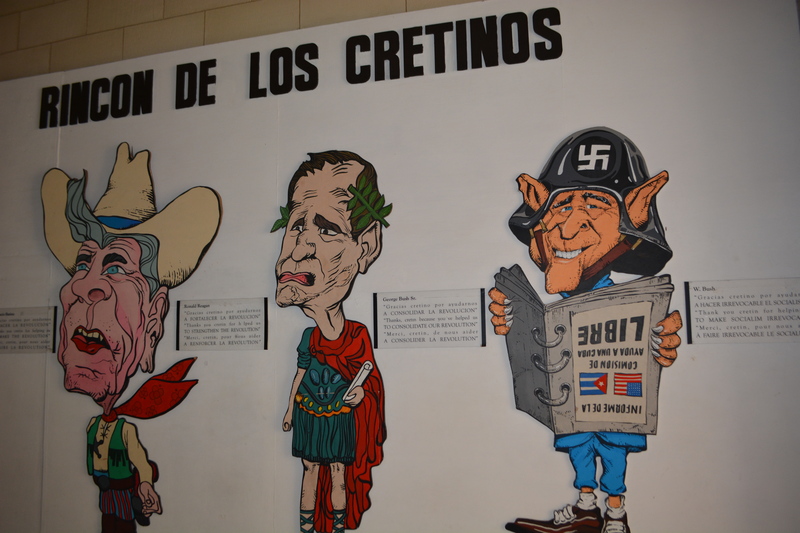 Anyway, the propaganda is all very amusing but of little importance to Cubans, who seem to want to look forward instead of dwell on the past. It seems that with the government’s slow weakening, people express their opinions fairly freely (although there is the odd, suspicious look around for eavesdroppers before criticisms are delivered) and the general outlook is to get on with life. 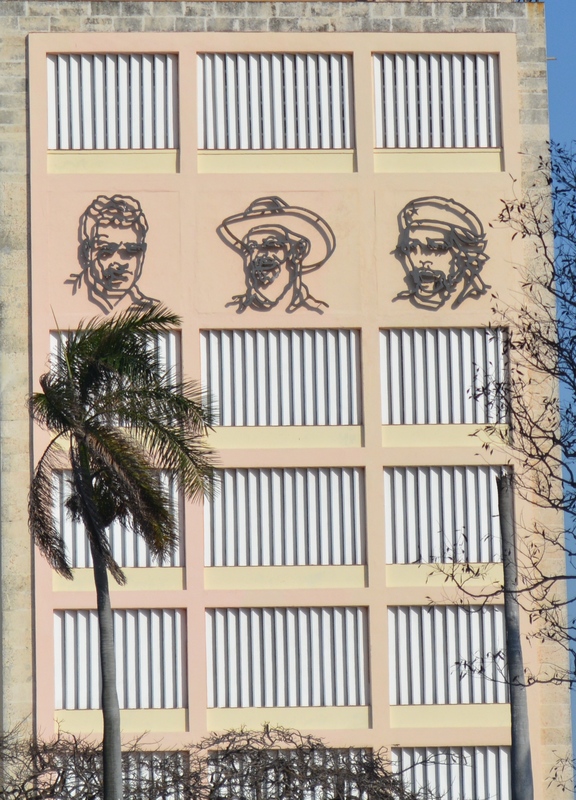 Cubans don’t want to condemn the revolution; they seem to want it to just slide quietly into history. Don’t they all want to defect? Not anymore. We would say that the majority of people we spoke to would want to immigrate to the US, but the desire to do so is not so desperate anymore. 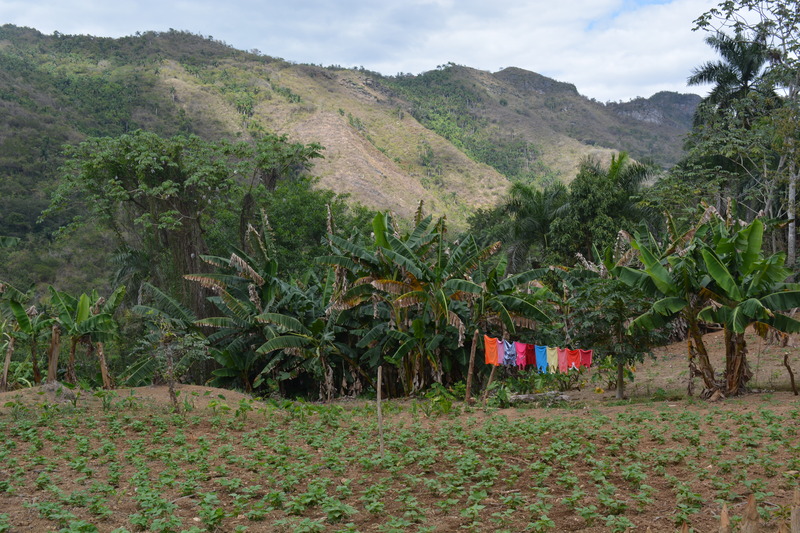 Most would prefer more economic opportunities in Cuba so they could live a more comfortable life at home. 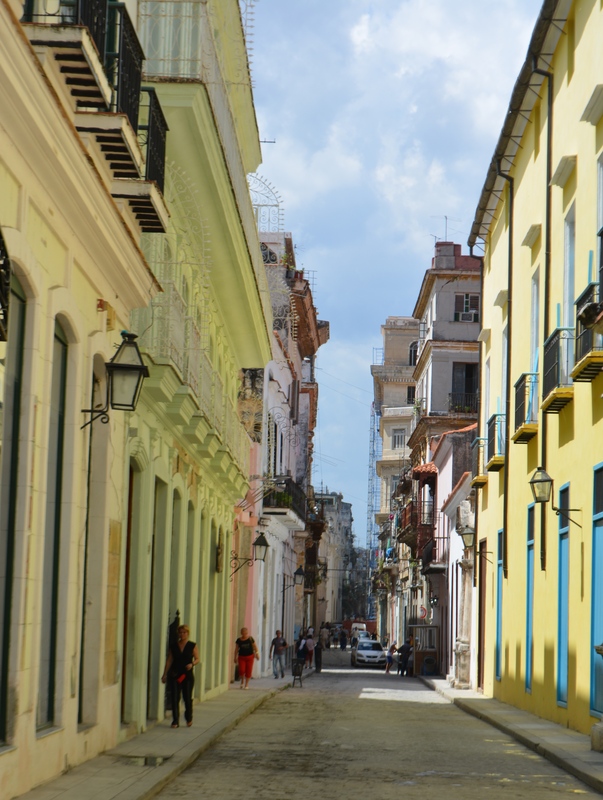 Cuba has softened its travel restrictions a bit lately and some people are able to go abroad. 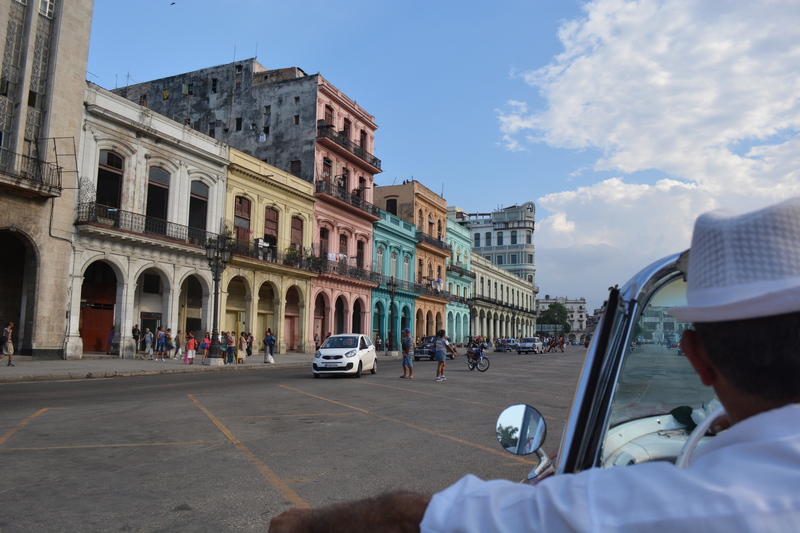 However, due to historical restrictions, there are nearly no boats on the water and Cubans have generally lost their maritime heritage. 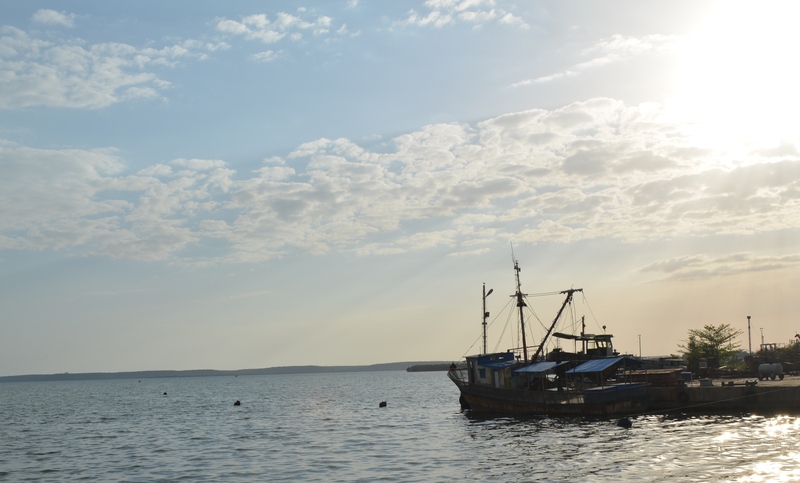 Derelict fishing boat in Cienfuegos harbor. It’s odd to look out over a beautiful bay and not see boats zipping around because Cubans are still not allowed to own, or even go on, a boat. 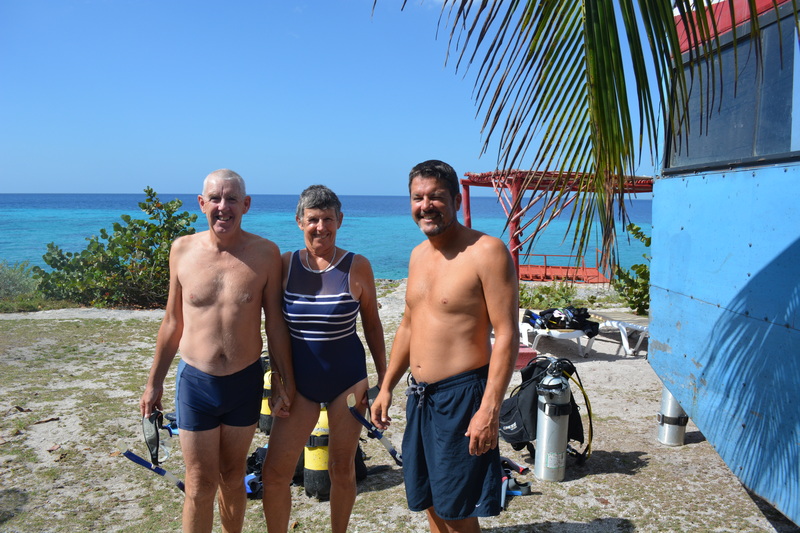 We went diving in “Bahía de Cochinos” or Bay of Pigs, yes that Bay of Pigs. 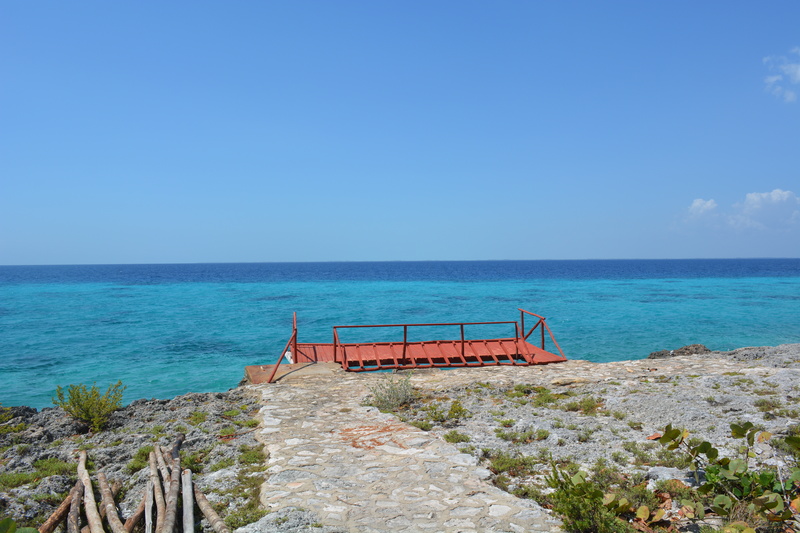 No dive boats here, just stepped off the end of this dock and were met by thousand of fish and pristine coral reef. The most fish we have seen in all the Caribbean. 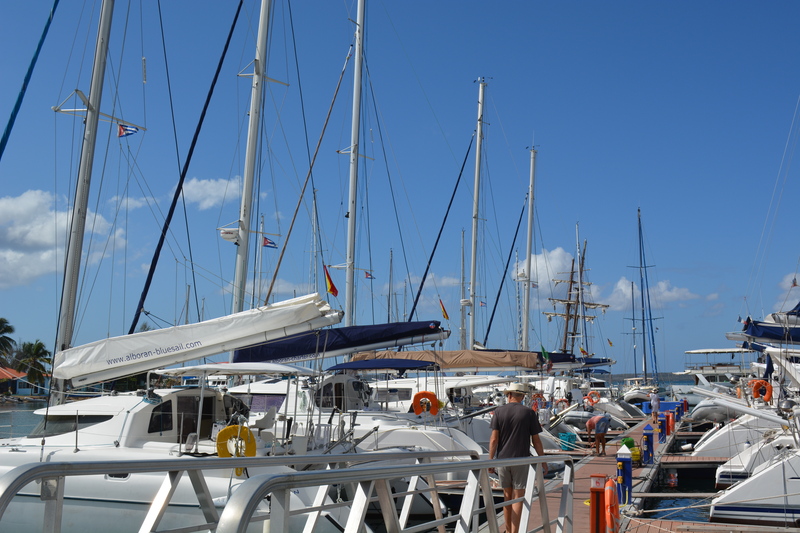 When we visited an old yacht club with foreign boats moored at the dock, our guide stopped at the edge of the dock and said he could go no further. He is not allowed to go anywhere near boats. In fact he said this was the closest he had ever been to a boat in his life. CUCs and CUPs, Paladars and Casa Particulars. 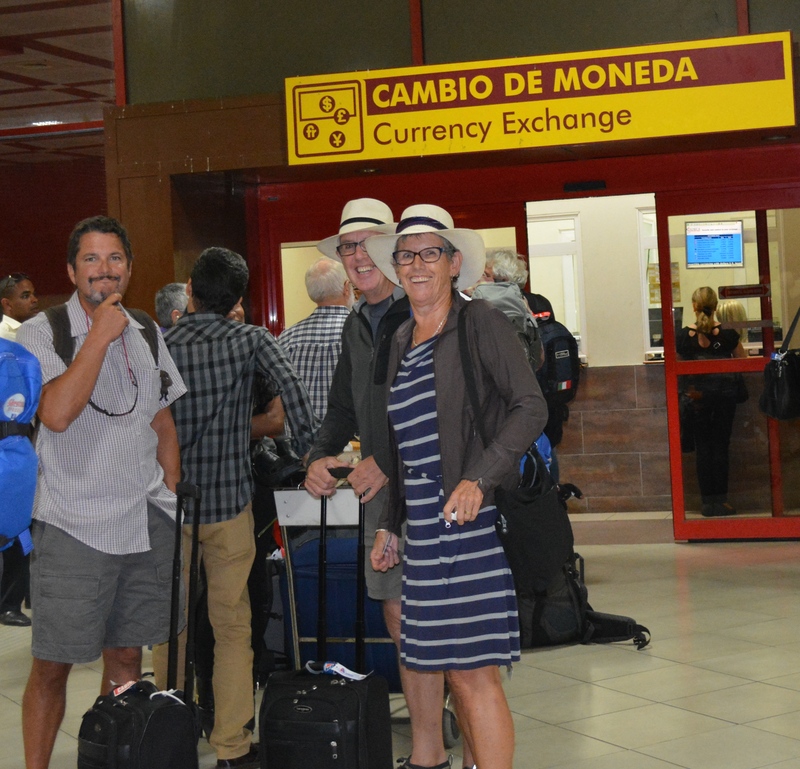 They have a strange monetary system where locals use CUP (cuban peso) and foreigners use CUC (convertible peso). A CUC is worth about 24 CUPs, yet this is not reflected in prices. 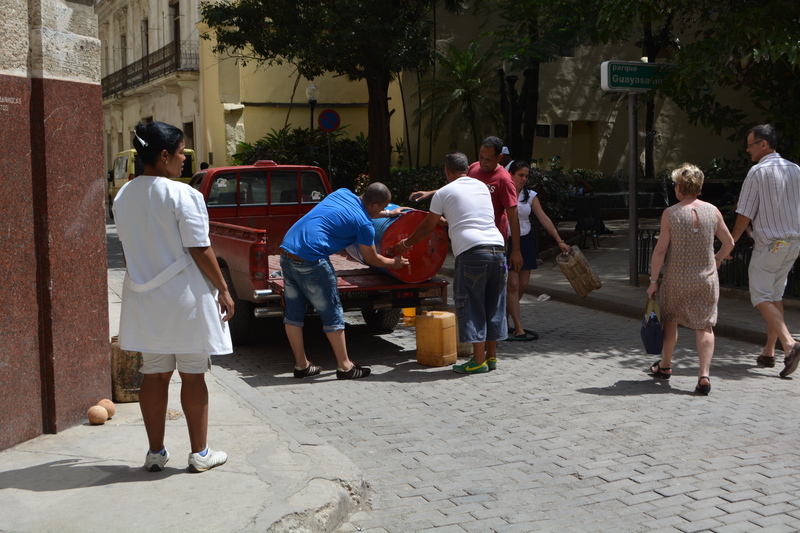 Cubans pay a lot less for items than a foreigner does. 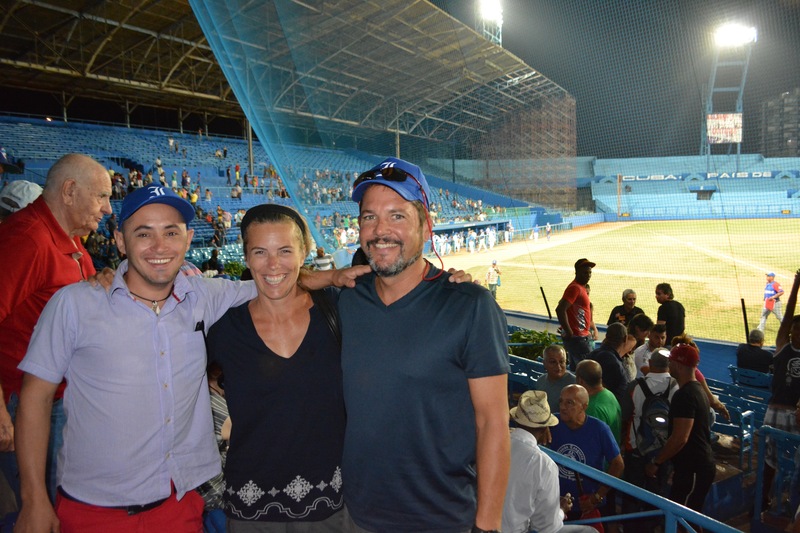 For example, we went to a baseball game (they are just as fanatic about it as the most die-hard fans in the US), and we paid 3 CUCs for a ticket while our Cuban friend paid 3 CUPs – 24 times less. (So that is $3 for us and 13¢ for locals – for a playoff game non the less). We were thrilled to take Olexis to his first professional baseball game. The Havana Industriales in the playoffs (they lost). Not everything is priced as 1 CUP to 1 CUC, however, and sometimes there does not seem to be any relationship between the two prices for the same good. 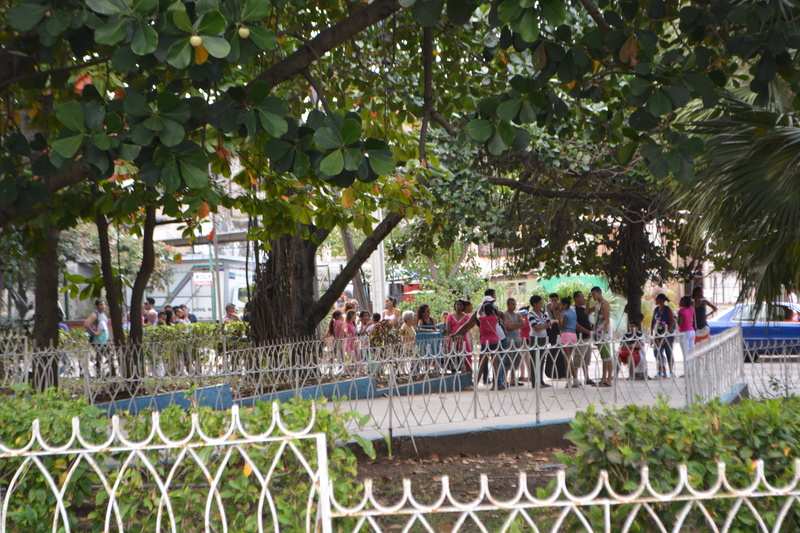 One day we decided to go to Coppelia, Cuba’s famous ice cream parlor. 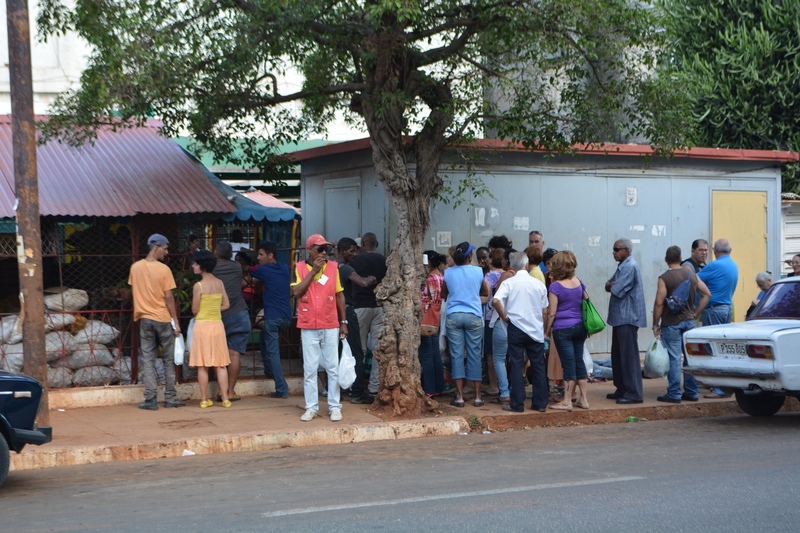 Locals waiting on line for ice cream at Coppelia. We were told that the lines could be long and were prepared to wait. 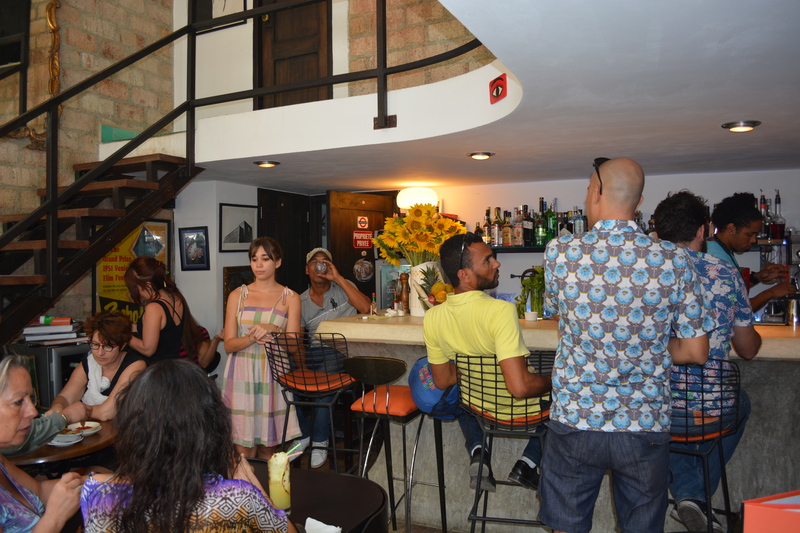 However, when we got on the line, people from the ice cream store rushed over to us, confirmed that we were not Cubans and immediately took us to a special room for foreigners. We were the only ones in the room and were quickly served while many locals continued to wait on line. Getting ready for ice cream in exile. 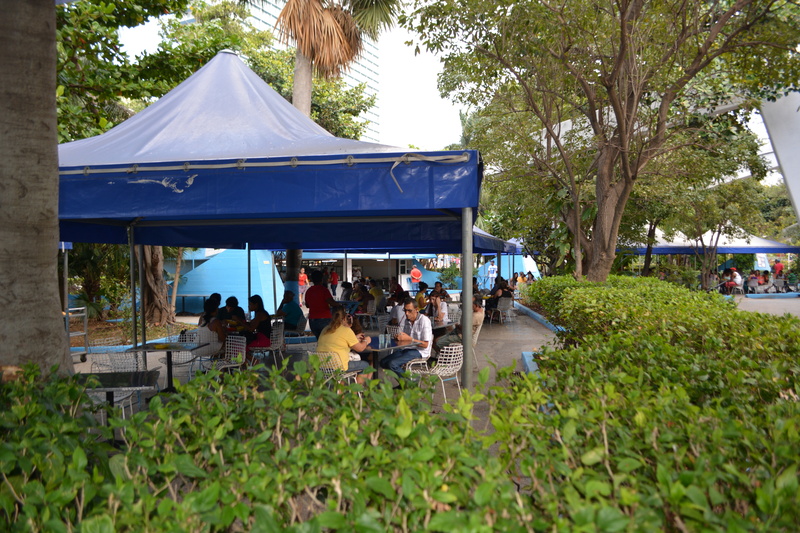 Coppelia was opened by the Cuban government in 1966 so Cubans could enjoy an ice cream treat. 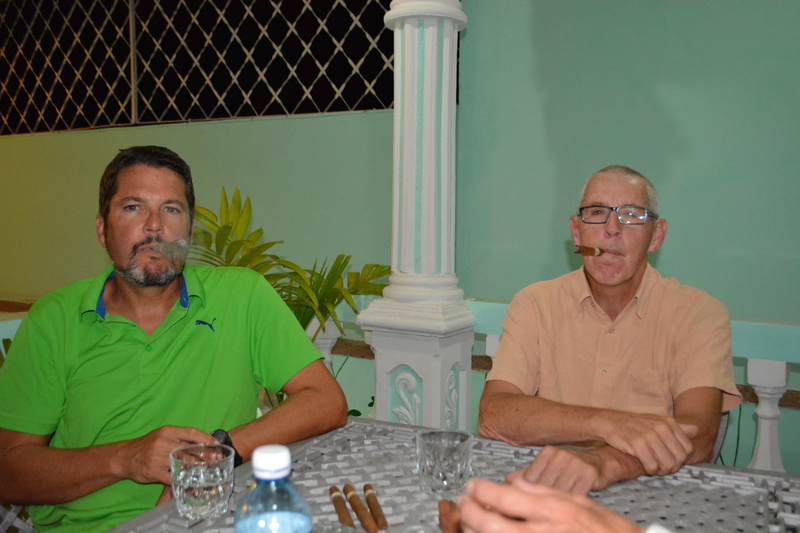 I am sure our prices were a multiple of what the Cubans paid, but we didn’t care about that. We regretted not being able to enjoy the ice cream among the local crowd. It was odd to be sequestered in a private room and treated differently than everyone else. 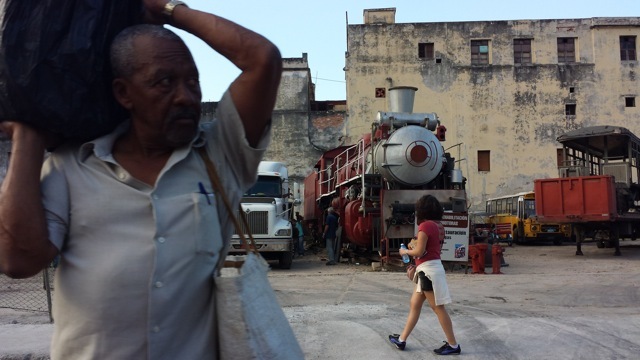 Like their money, commercial life in Cuba runs on two tracks. There are government run hotels, restaurants and shops. These are usually clean, poorly stocked and bereft of customers. Then there are private versions of the same (even private businesses have to give 51% profit to the government, except private shops, because those are not legal yet). 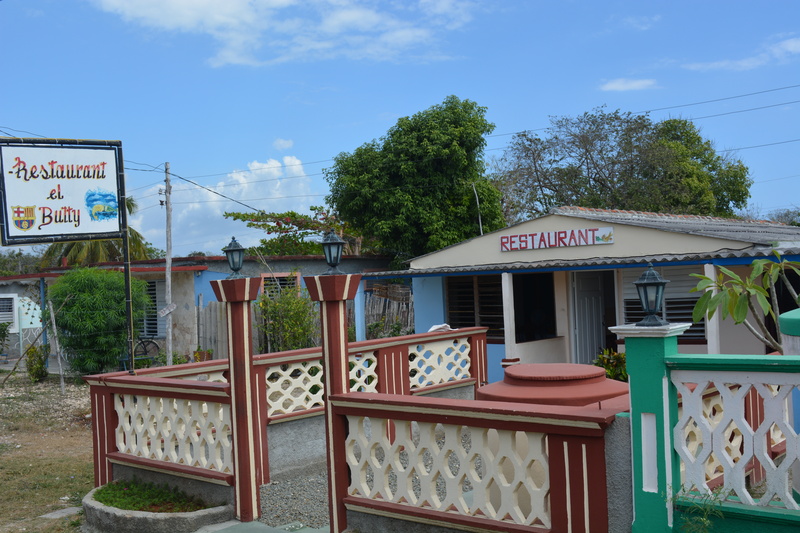 Casa Particulars are private hotels and inns that started as black market places to stay and have recently been permitted by the government. 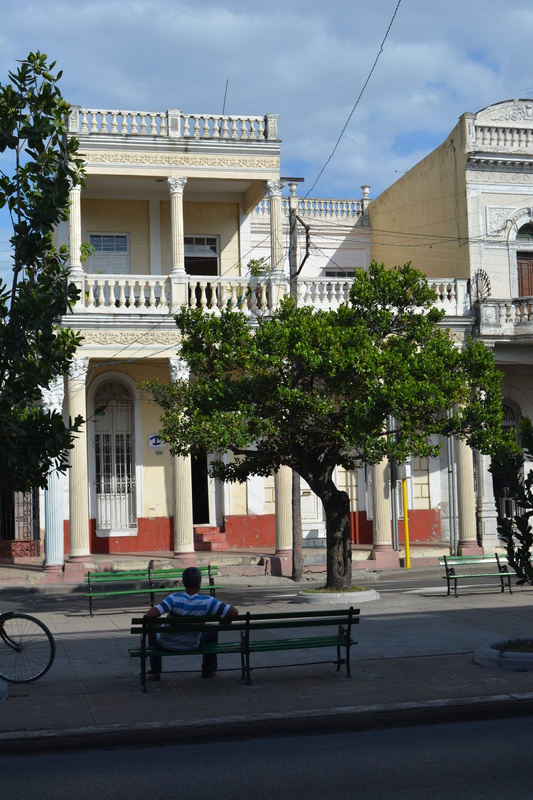 Exterior of Cienfuegos casa particular. 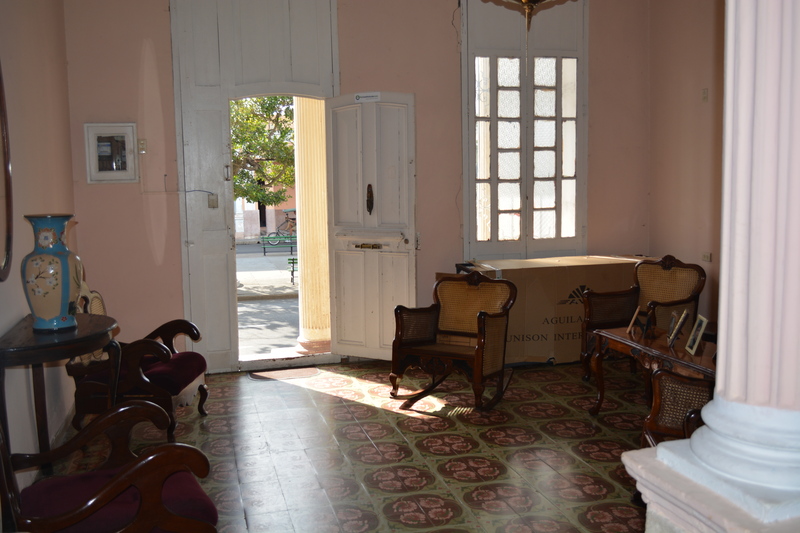 Interior common room of Cienfuegos casa particular. 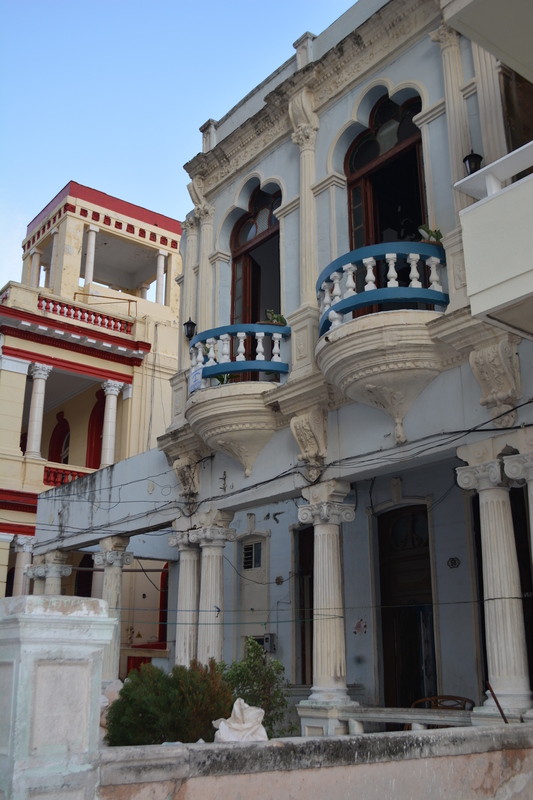 Exterior of Havana casa particular. 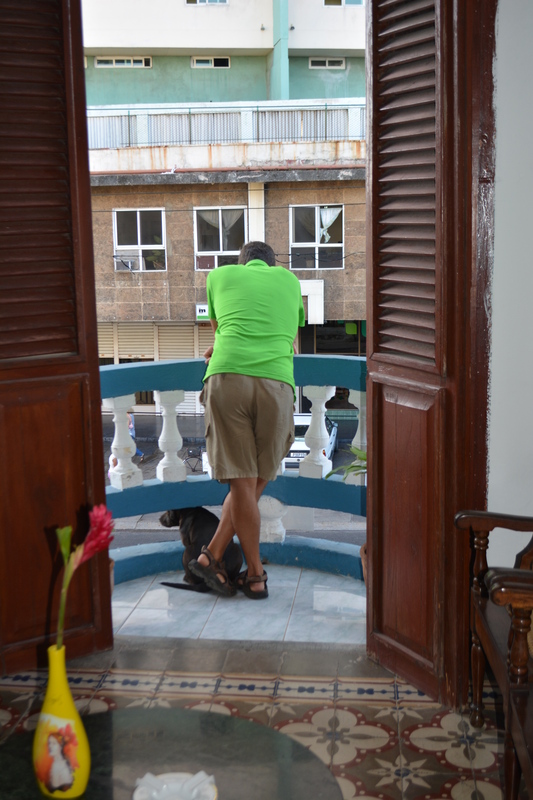 Pete enjoying the view with our casa particular host Skylar. 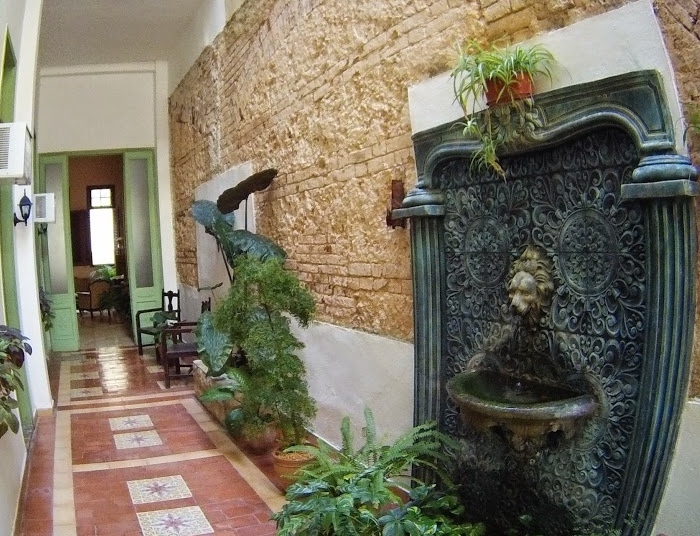 Beautiful corridor to the rooms of Casa Habana. 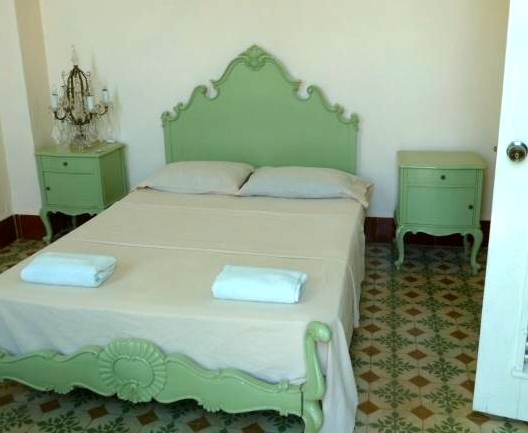 Room at Casa Habana, just love that old tile. Roof deck “secret bar” at Casa Habana one of our casa particulars. 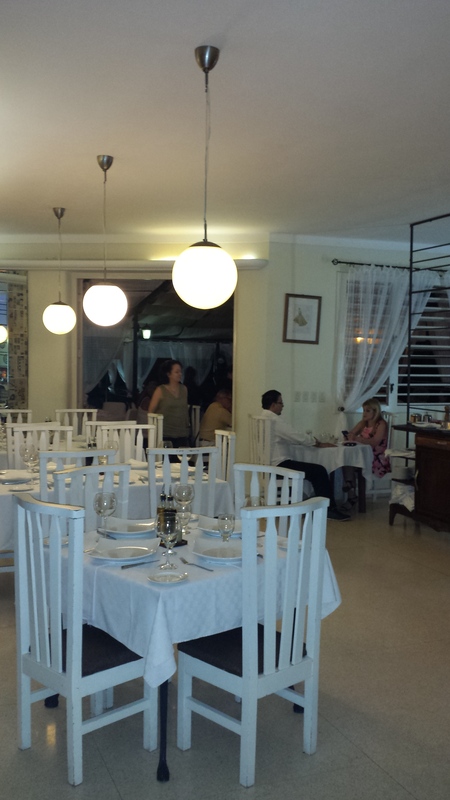 They run the gamut from Grandma Luisa’s old room in the back of the house to clean, well-run multiple room inns. They all come with breakfast – oddly always the same breakfast no matter where you are. And can range from luxurious to bring-your-own-toilet-seat. Its the same with restaurants. Paladars started as secret private places to buy a meal. Now they are permitted, and regulated of course, and can be found everywhere. 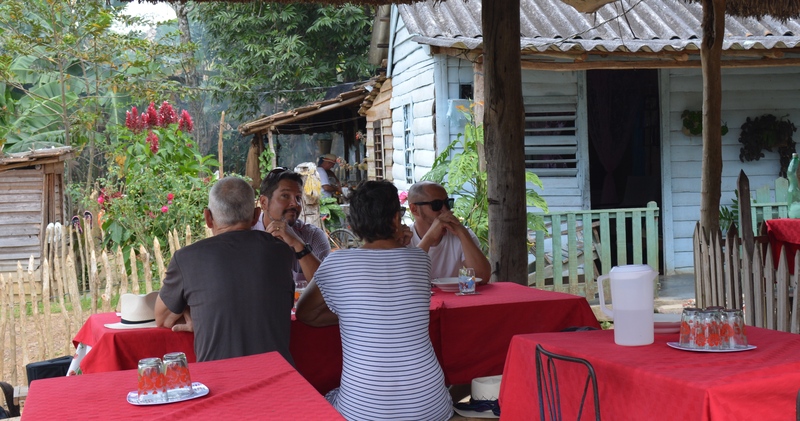 They range from home cooking in someone’s house to trendy eateries with Cuba’s version of hipsters running around. For restaurants, think of the government-run versions as old, expensive big-city eateries that are resting on their laurels and paladars as the new little restaurant that everyone is talking about. We went to the paladars the majority of the time. For shops its a little different. From what we could learn, private shops are not yet permitted and, indeed, are still cracked down upon. However, there are ration shops where things are quite cheap and people can buy their ration of subsidized egg, milk, bread, etc. Then there are government-run shops that are not ration shops where people can spend their excess cash for other things. Finally, there are clandestine shops and black markets where you can get some things that you just must have. Pete was ushered through a family’s living room, a bedroom, the kitchen where a daughter was peeling beets, and finally to another bedroom to be shown a duffel bag of cigars for sale. Its all very confusing but shows how ingenuity squeezes through somehow no matter what the government does. That’s it. 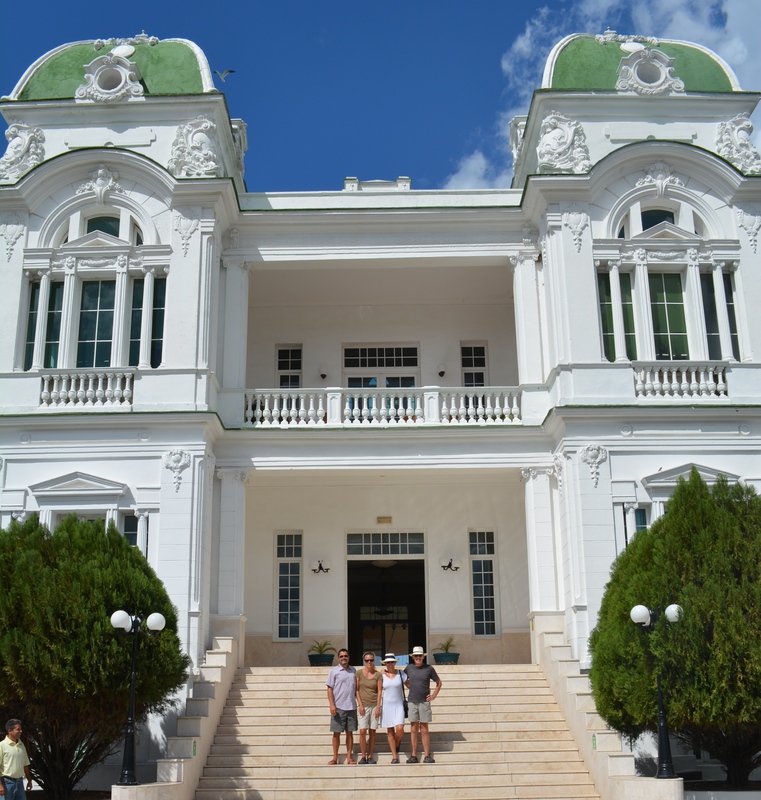 CUBA, we loved it! 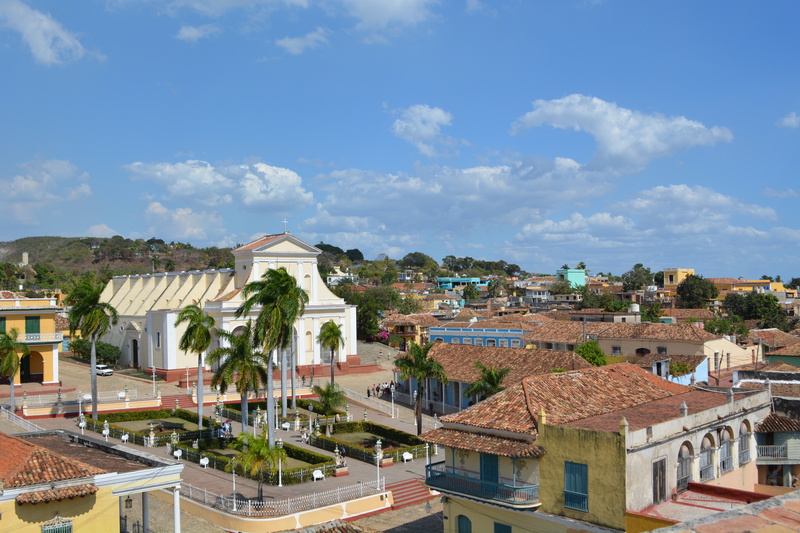 With relations with the US thawing at a rapid rate, Cubans have a real task on their hands to grasp the benefits of an improved economy without spoiling the unique and timeless beauty that 50 years of communism have, inadvertently or not, preserved. Note there is not a single KFC, McDonalds or CVS in any of the pictures we posted. We hope the country can manage the coming change in a manner that allows people improved lives but that also keeps it that way. They have a delicate and graceful culture that we can all benefit from. We have so many photos from our trip. If you’d like to see more click here. 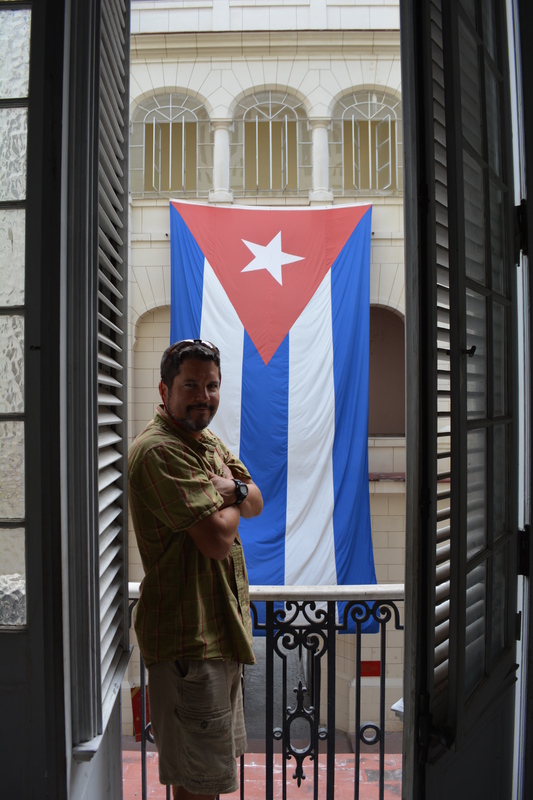 Here is to a bright future for Cuba. You say you haven’t seen enough Cuban dog photos? Ok, ok, click here for more. And thanks Charlotte and James for sharing some of your photos. 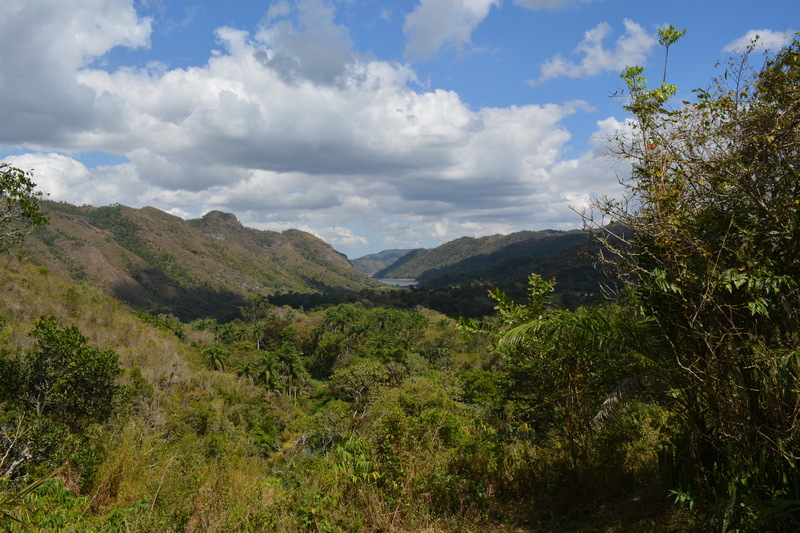 This entry was posted in 2nd Season, Adventure, Cuba, islands, land trip by Neko. Bookmark the permalink. Absolutely one of your best, and you have had some terrific postings! Thank you. I too would love to see Cuba before US overreach happens there. Great photos too. Will read this again and share with a friend who left Cuba with her family in 1960 and now lives near DC. Absolutely captured the place, sights, smells and people. So glad we experienced it with you. Thanks for a thousand memories. 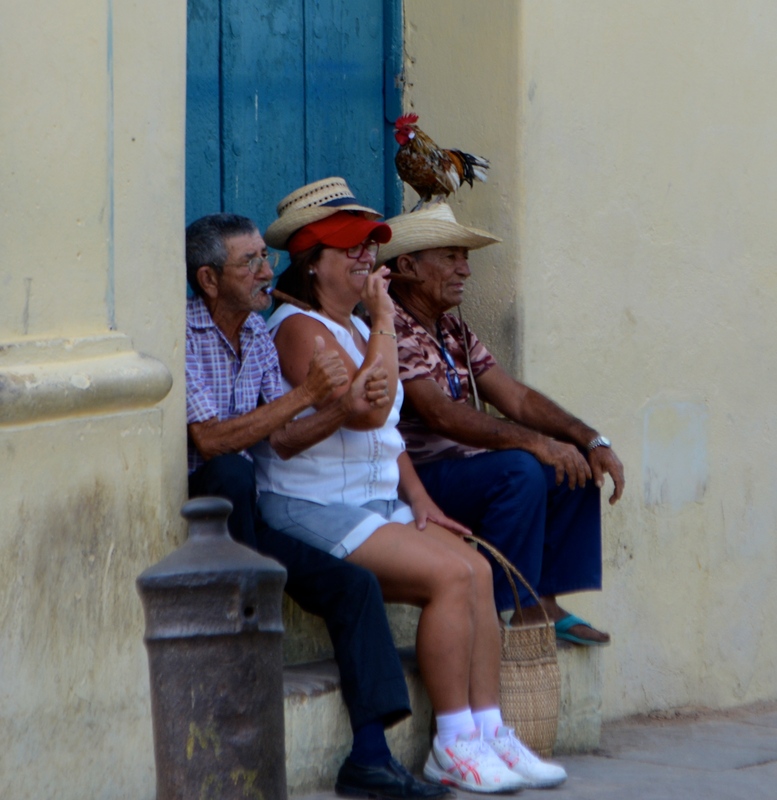 loved this post Mary really informative, fun to read and so many pictures – I especially like the woman with the cigar and the man with the bicycle – great shots! Excellent post guys! Great photos as always. This was just the best yet Mary! Wow, does that bring back sweet memories of our trip a couple of years ago – we still consider it at the top end of our cruising adventure. 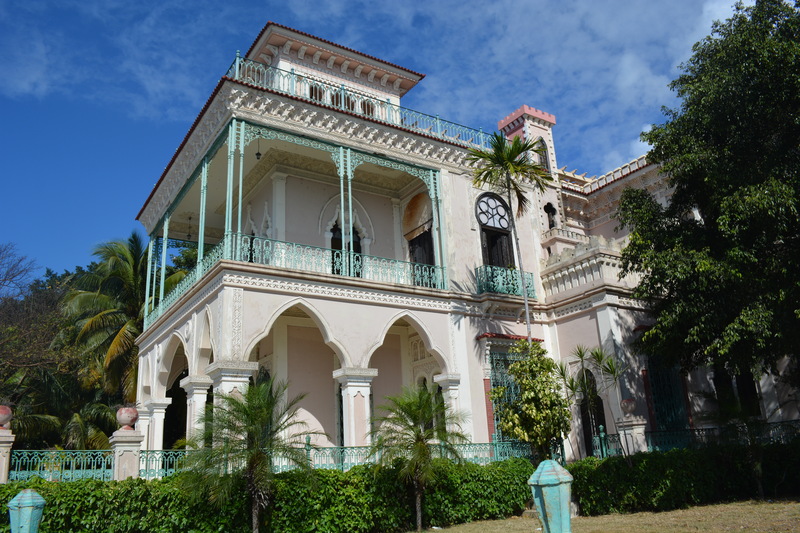 Hey, smuggle Neko over there for a trip along the pristine Jardines de la Reina. Looks like an amazing trip. 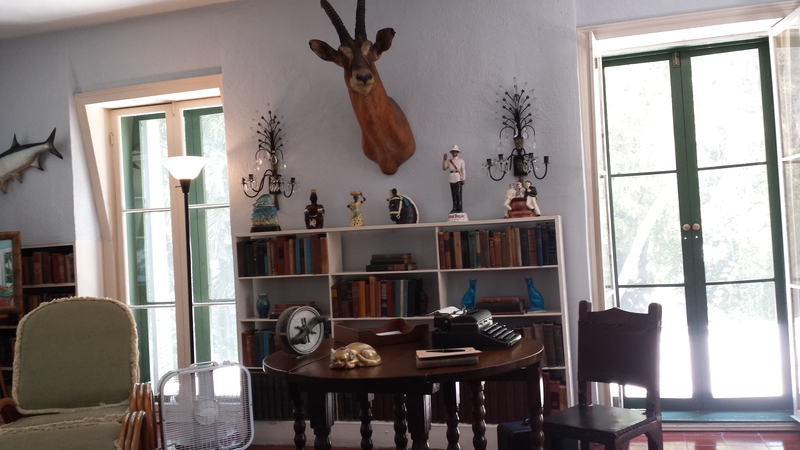 Hemingway house must have been an interesting stop. Beautiful pictures. Glad you guys could experience it before the Americanization gets underway. Of course they have TP, the real question is… (Hold onto your hat… This one’s horrible)…. How many “playa”!!?? ?